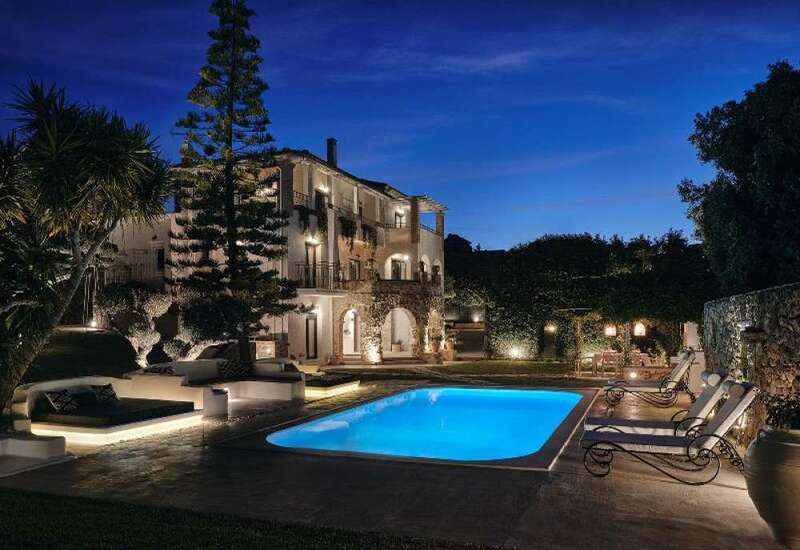 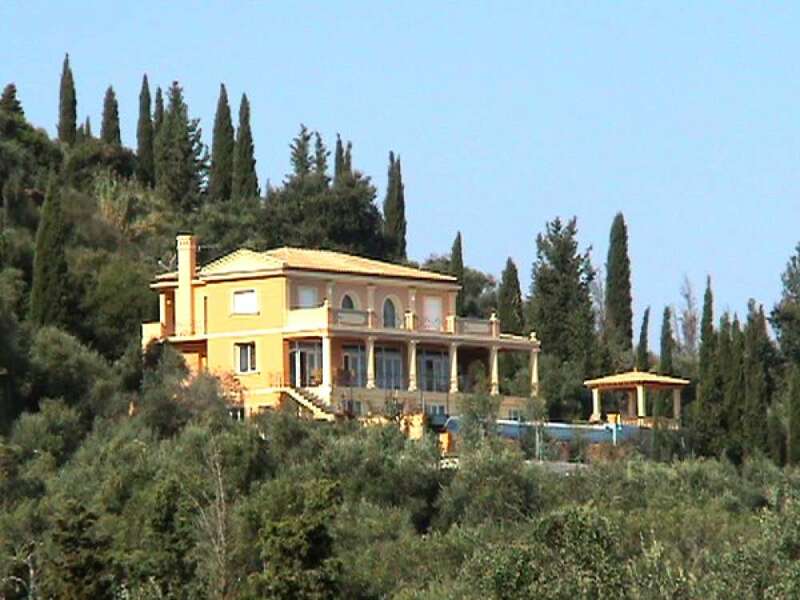 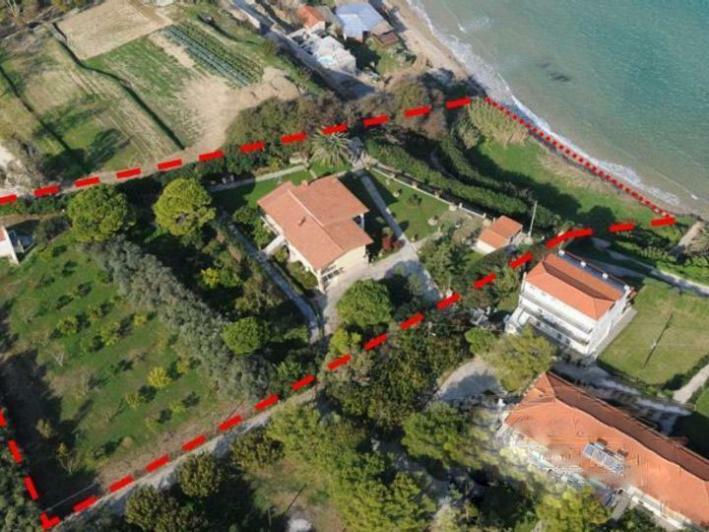 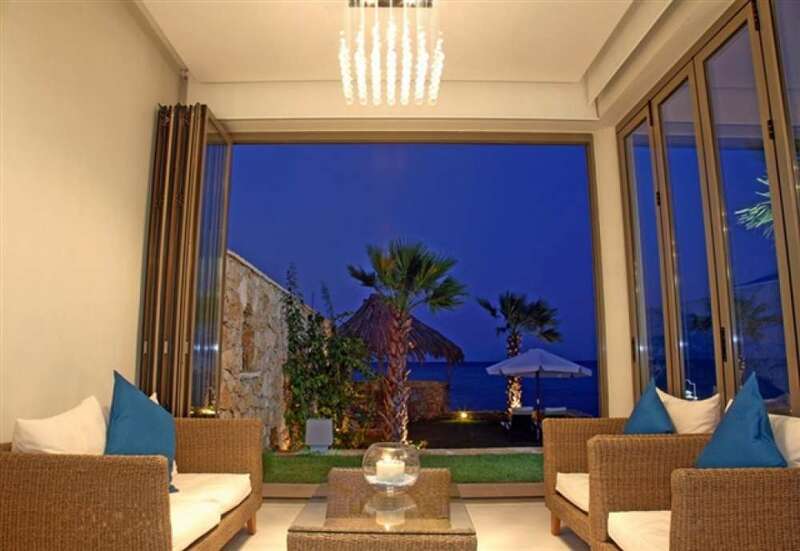 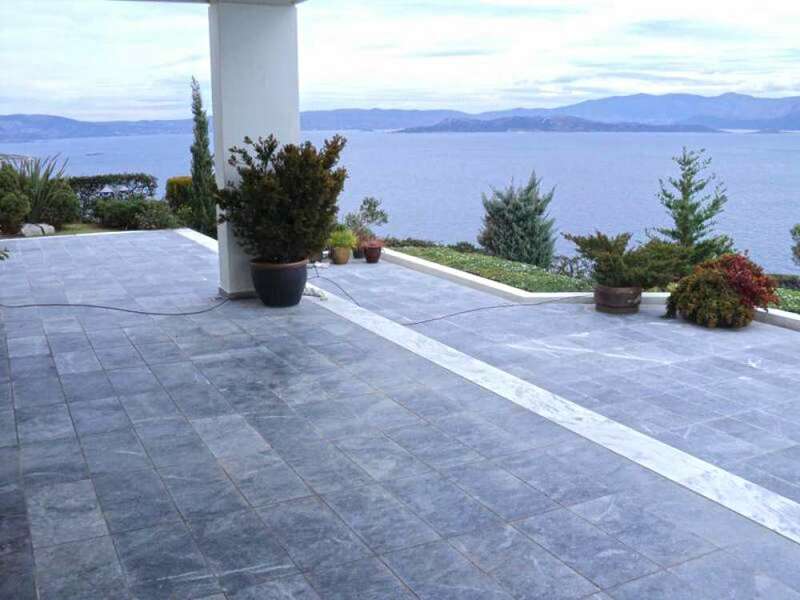 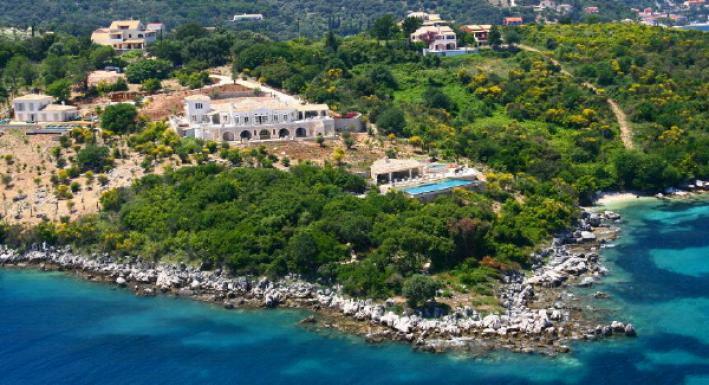 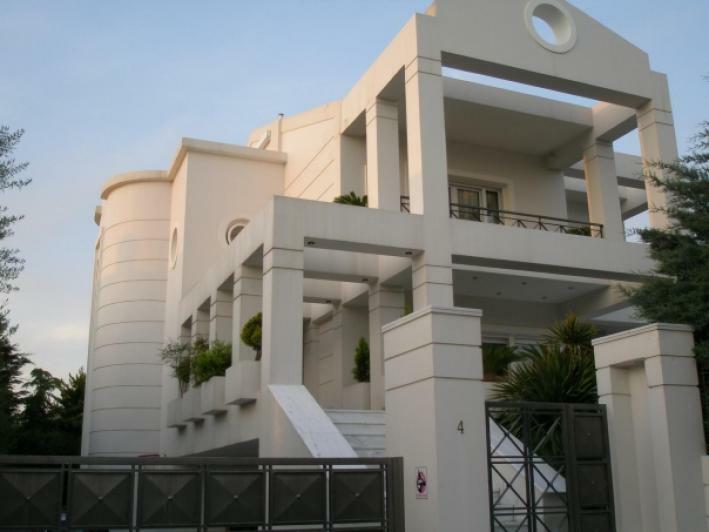 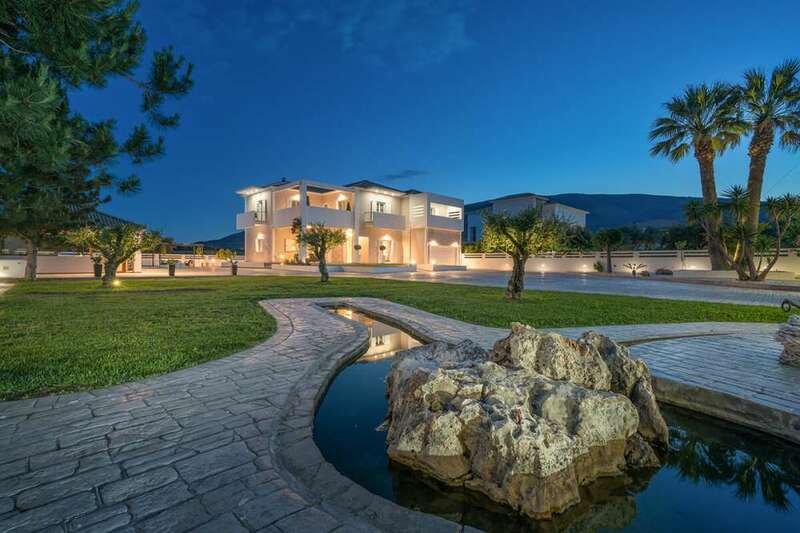 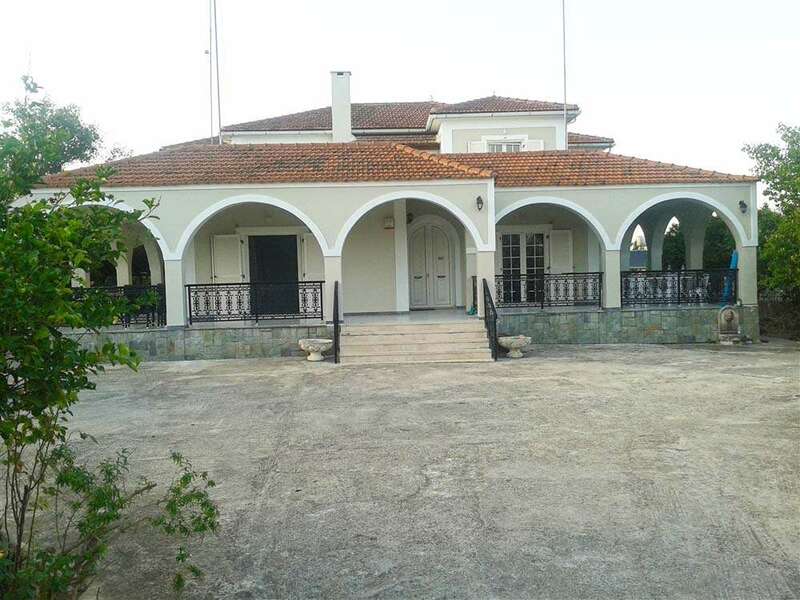 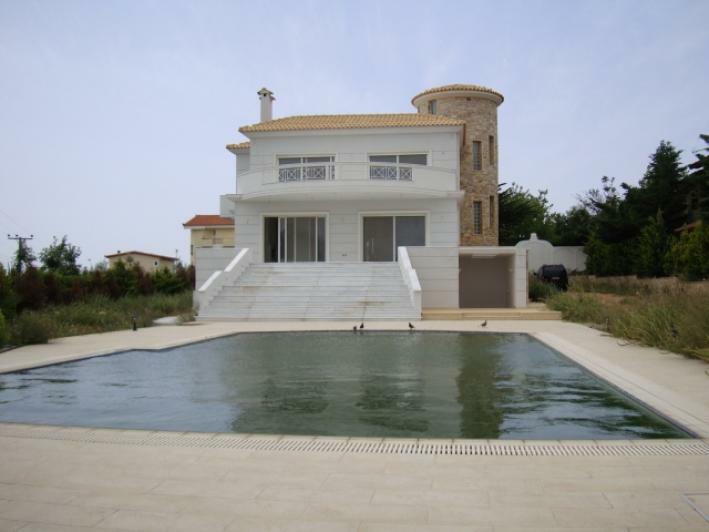 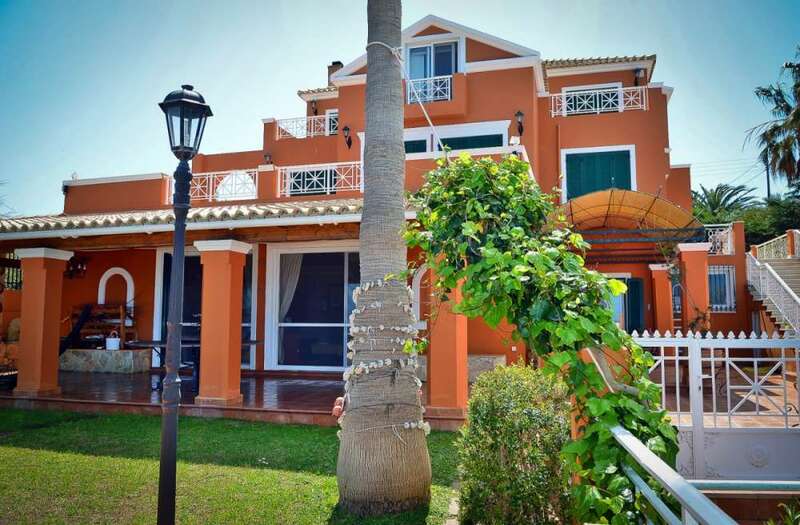 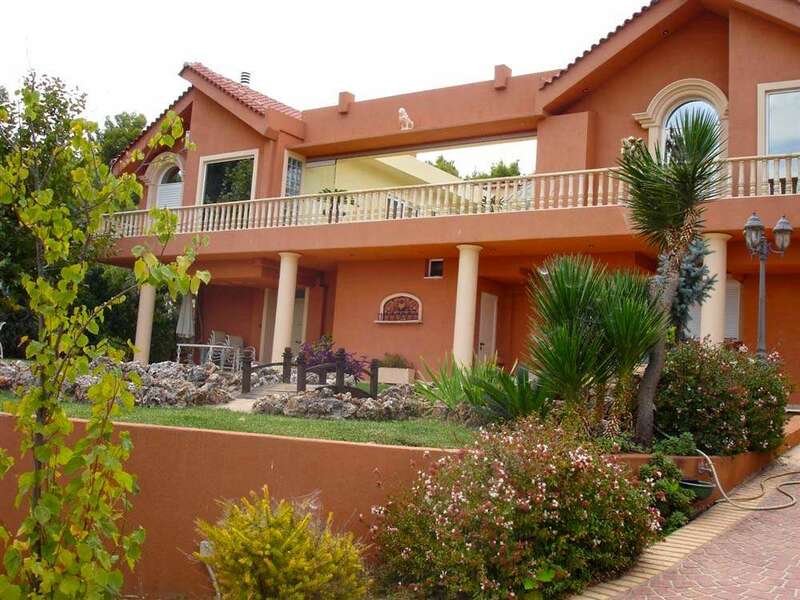 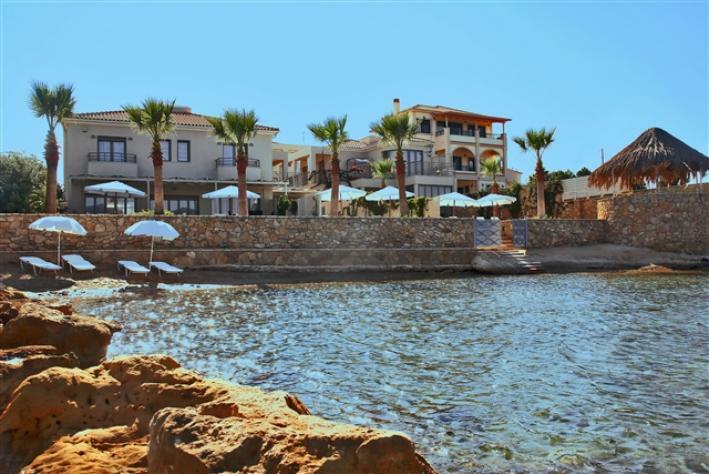 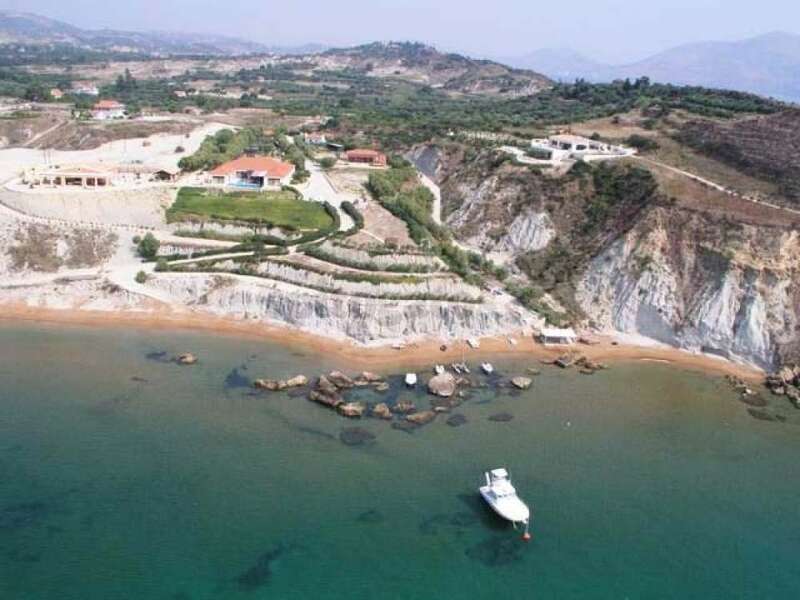 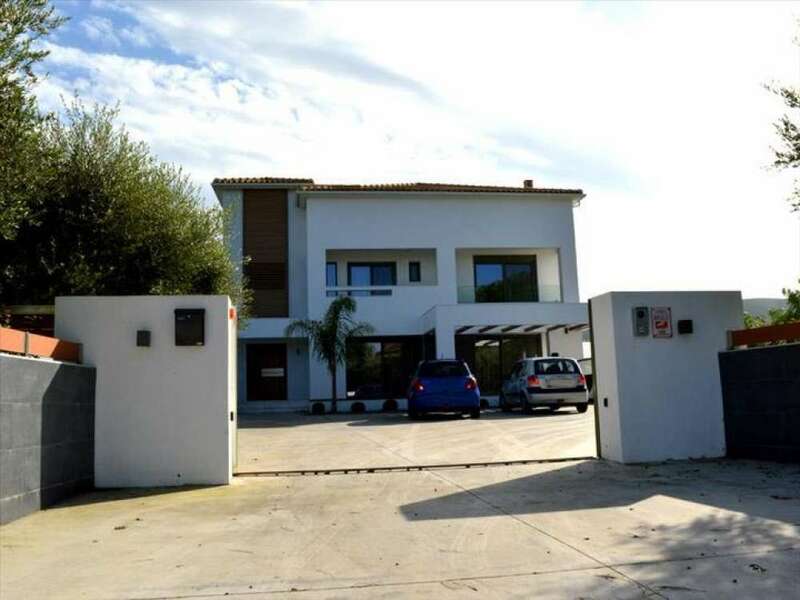 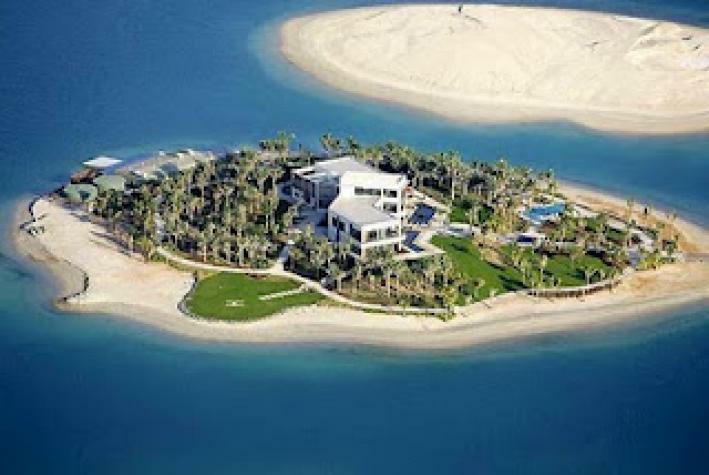 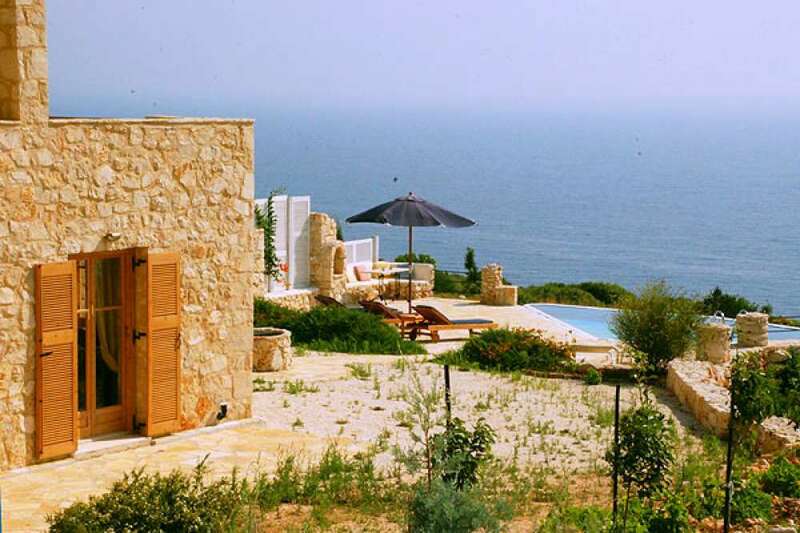 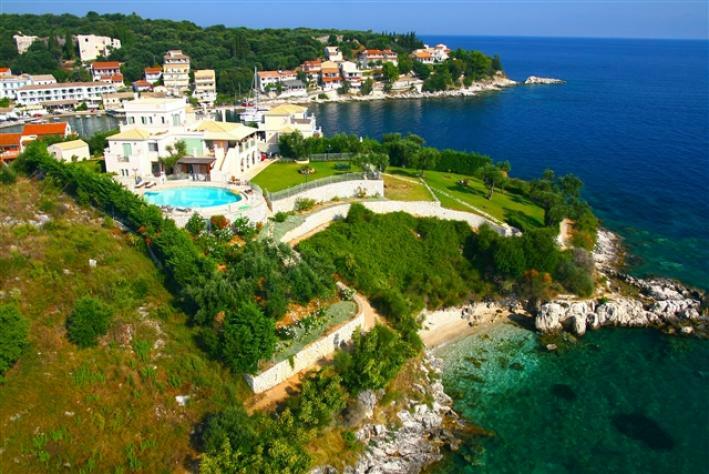 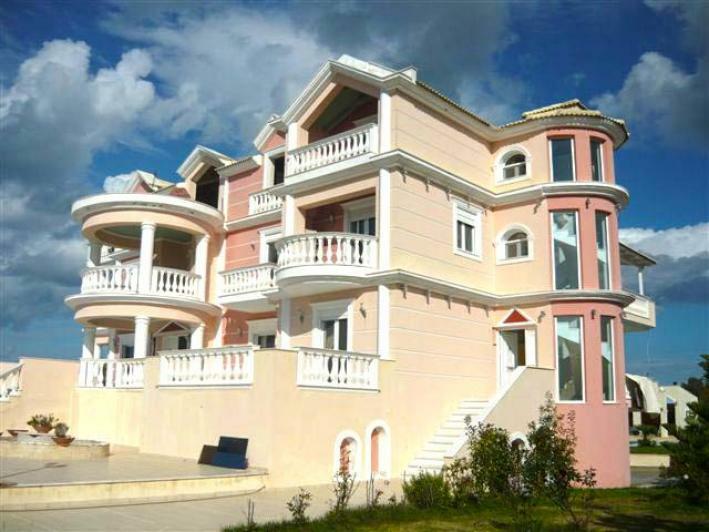 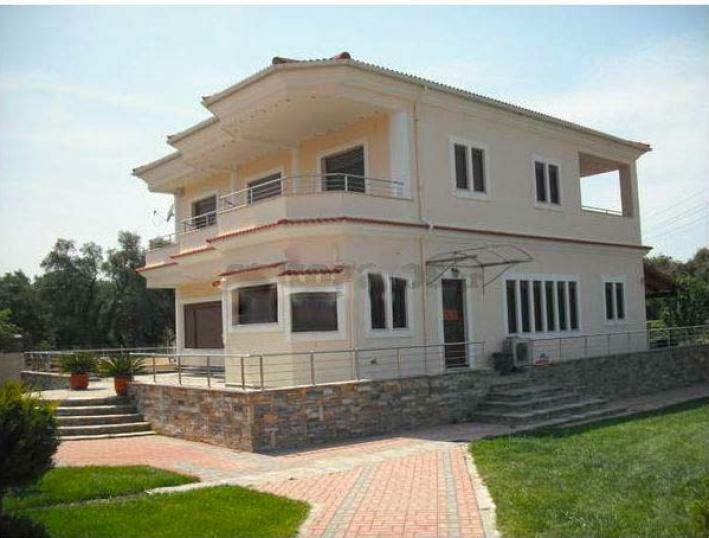 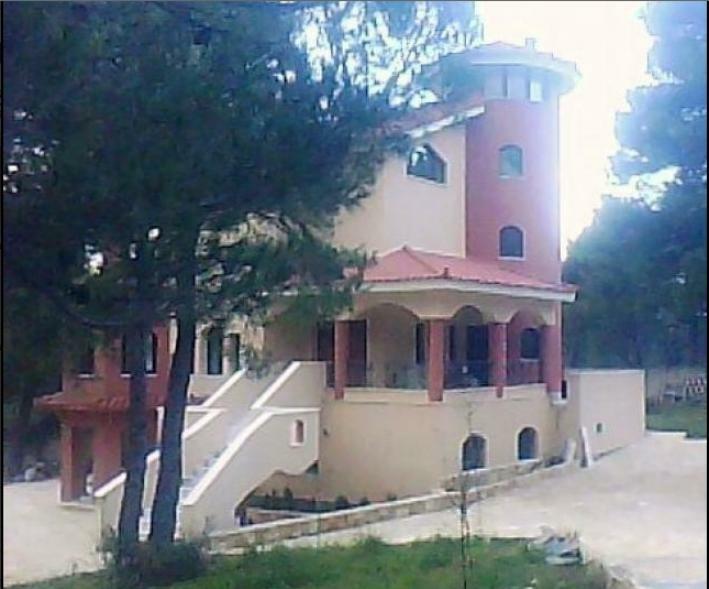 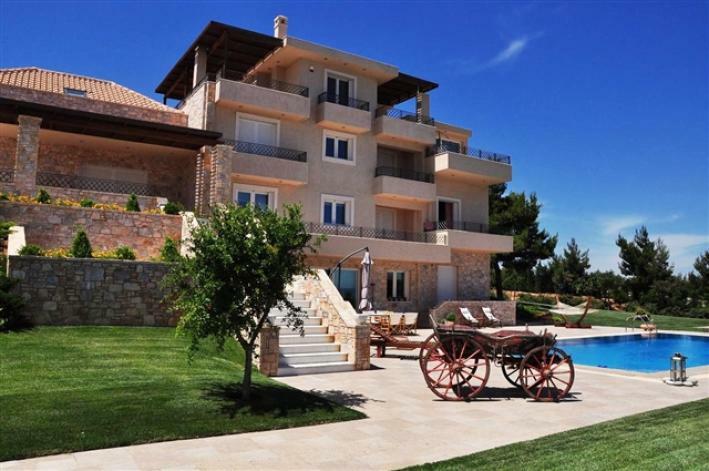 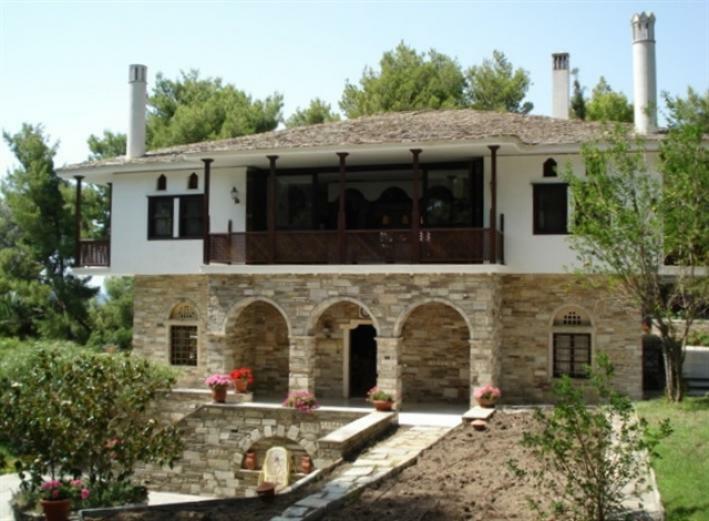 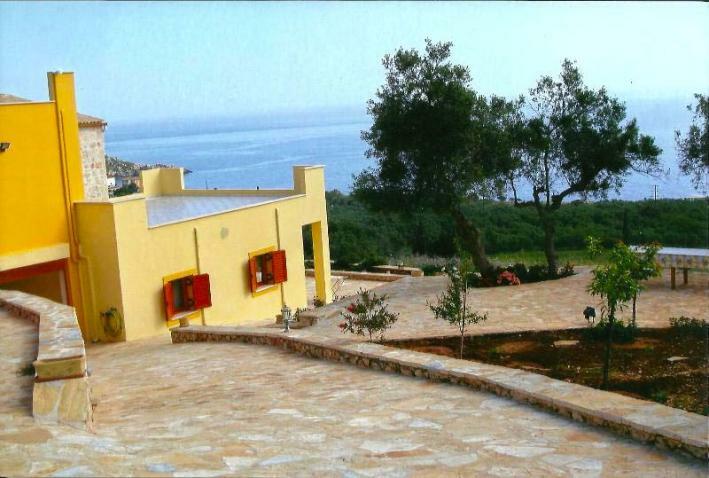 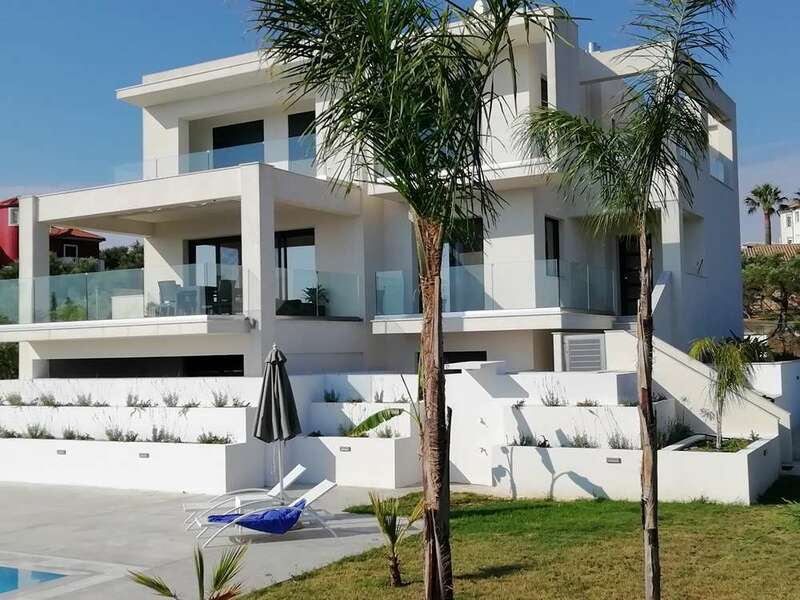 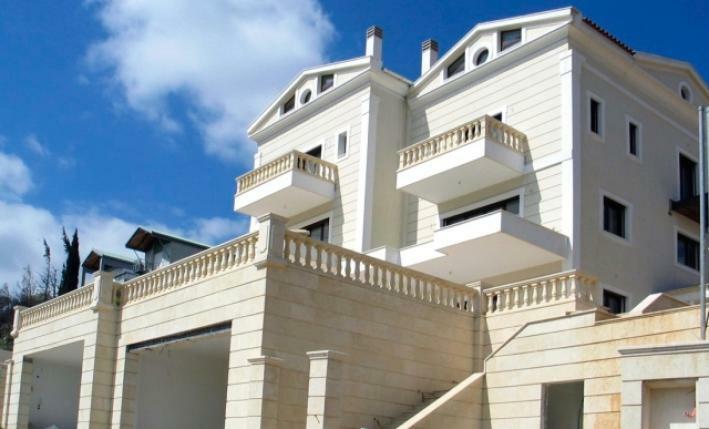 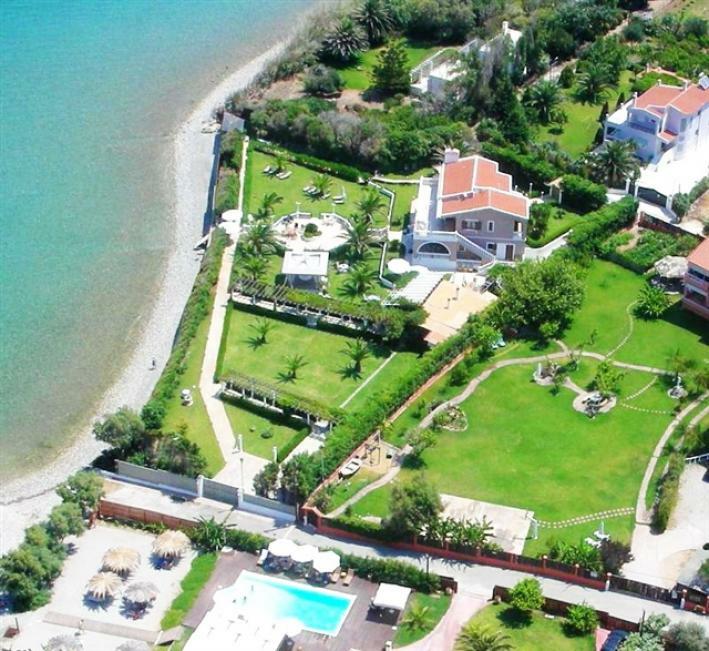 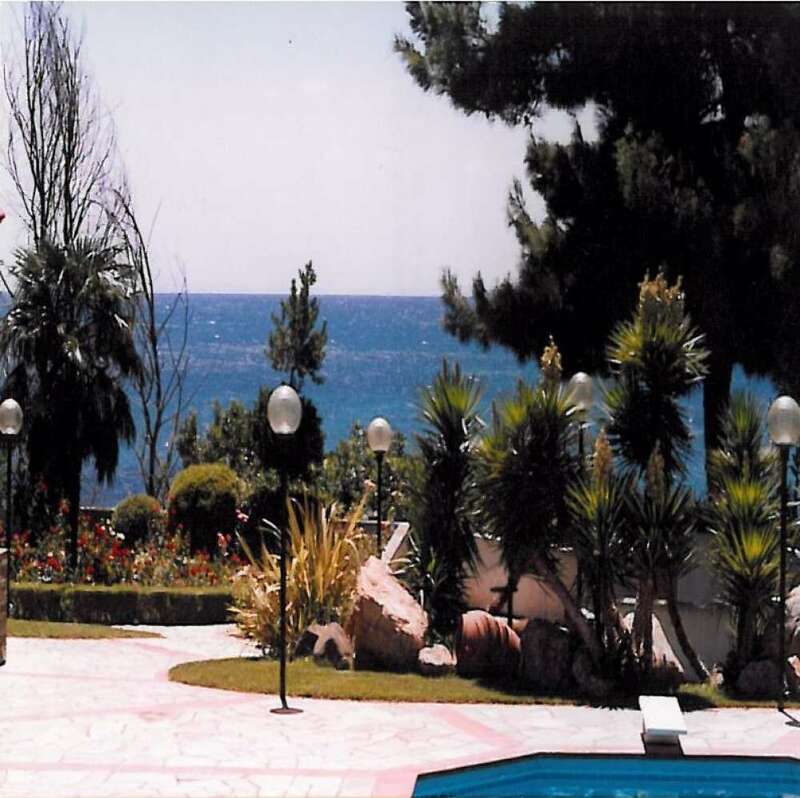 For sale: luxurious villa 300sqm built on 4000sqm plot, 2km from the sea, is for sale. 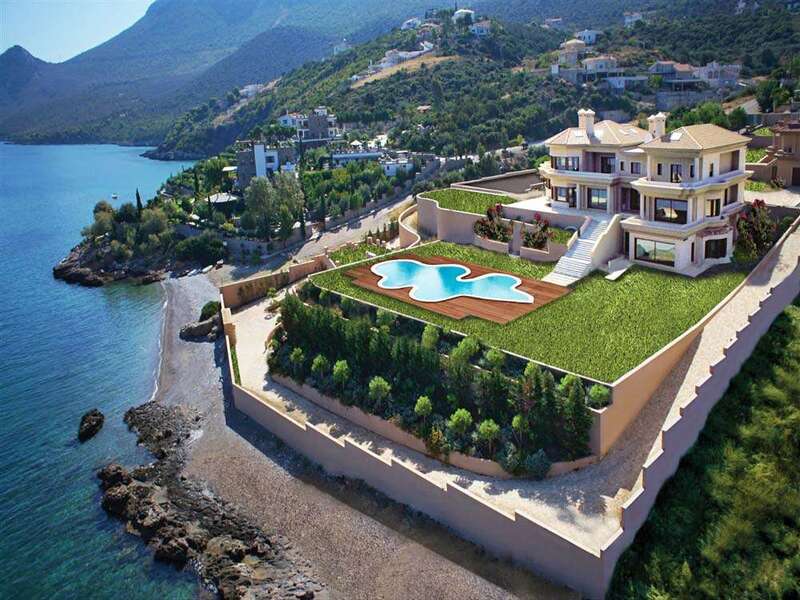 The villa has two floors. 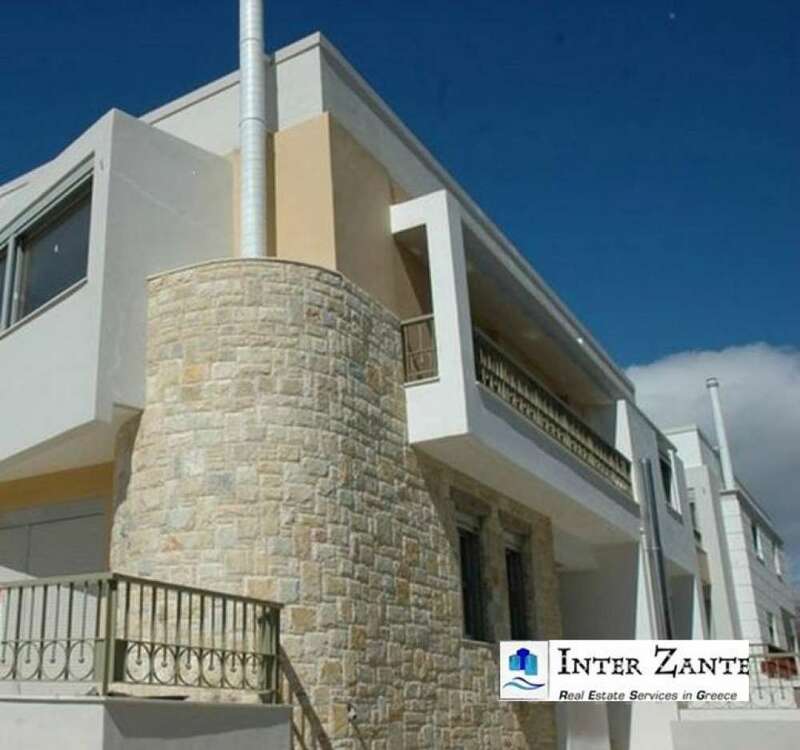 The first floor has three bedrooms, two bathrooms and a fully equipped kitchen with fitted appliances. 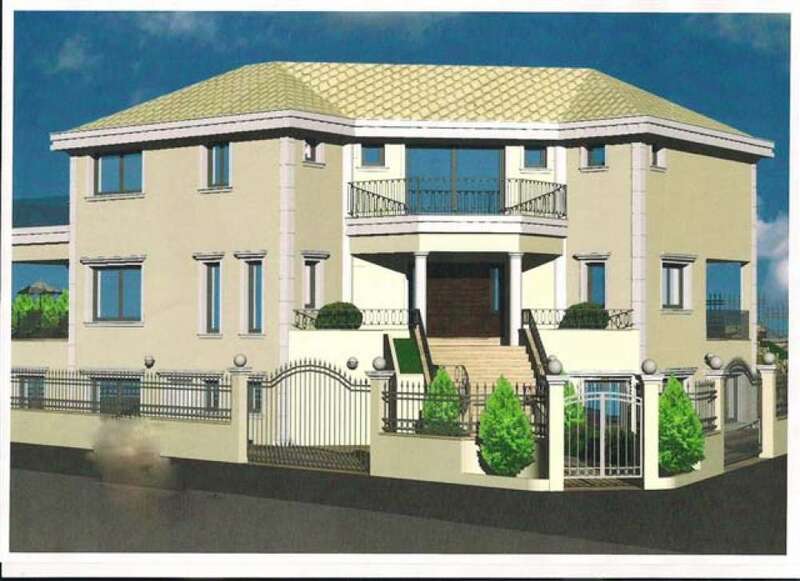 The ground floor has a living room with fireplace, dining room, office, WC, kitchen, one master bedroom with fitted bathroom. 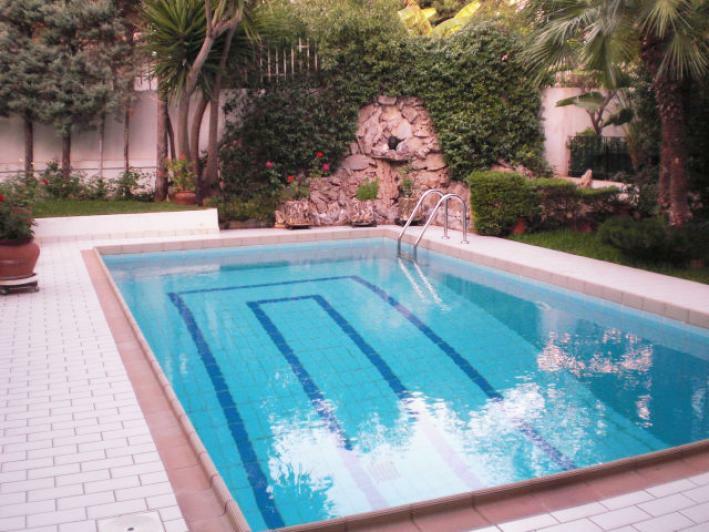 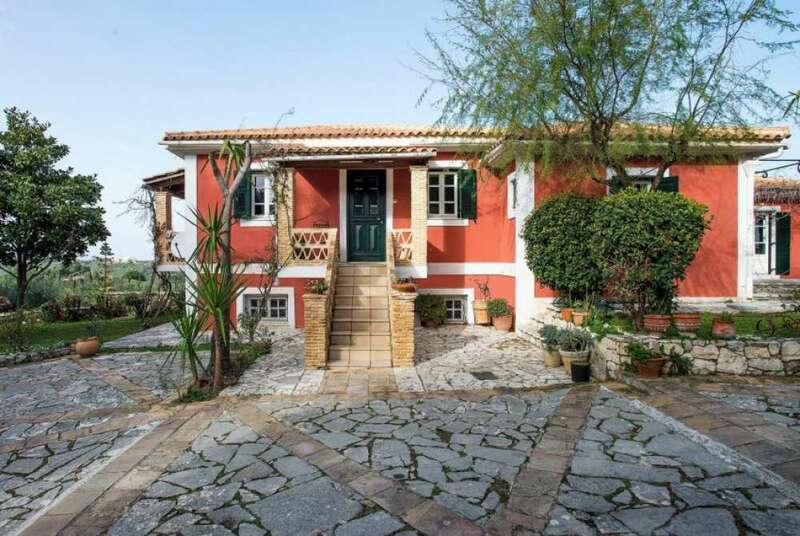 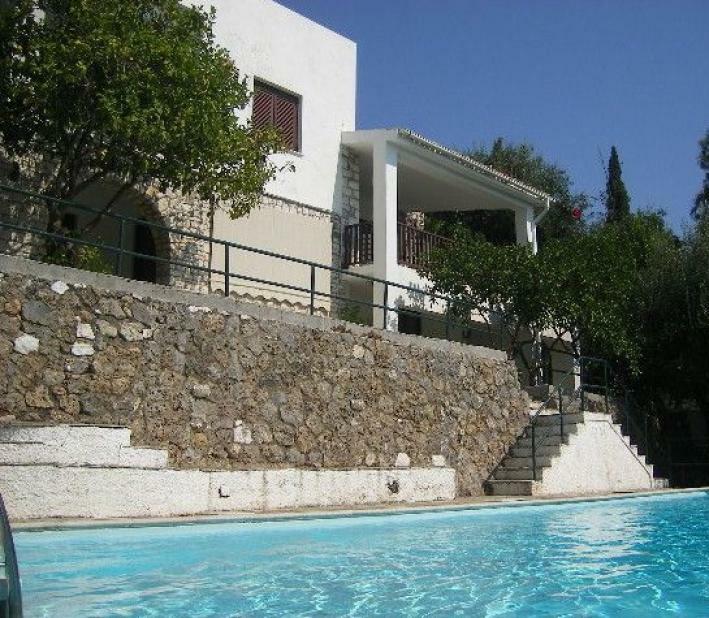 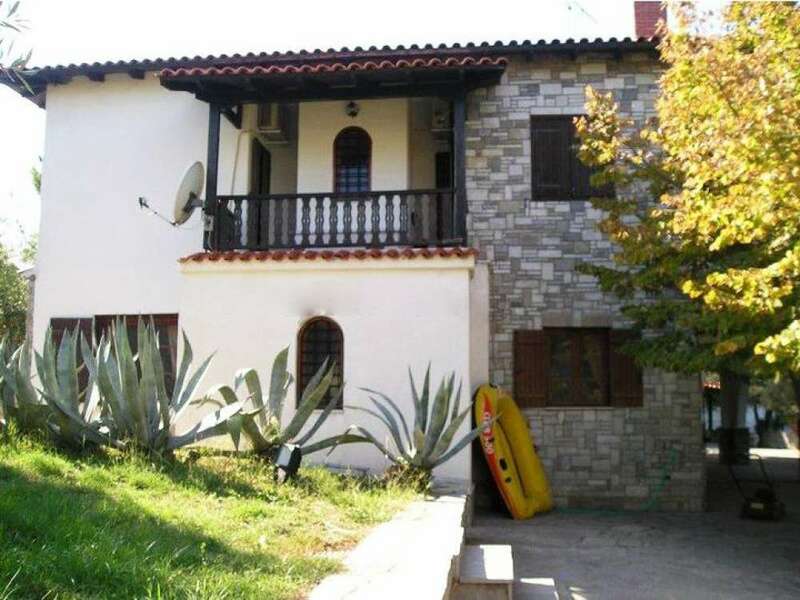 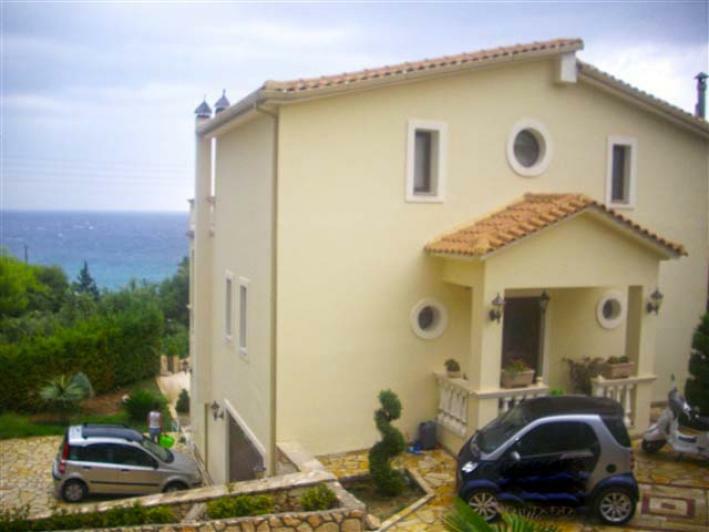 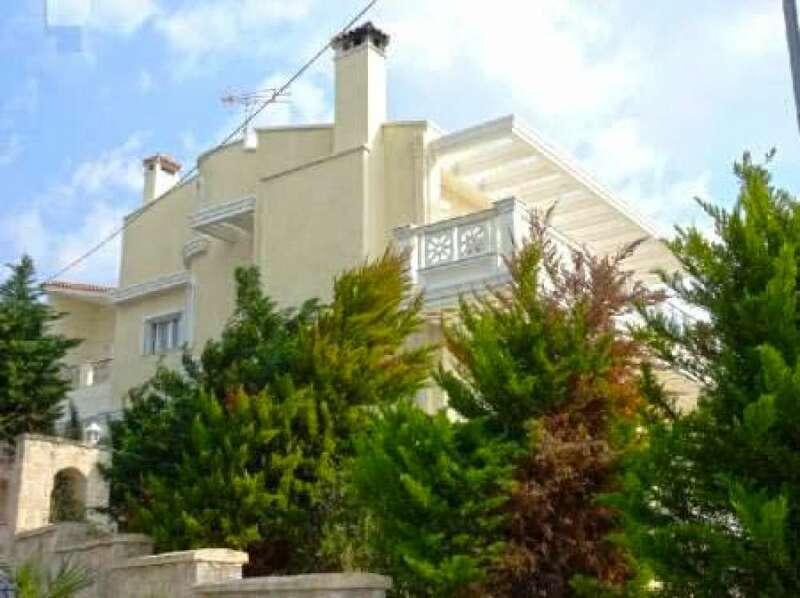 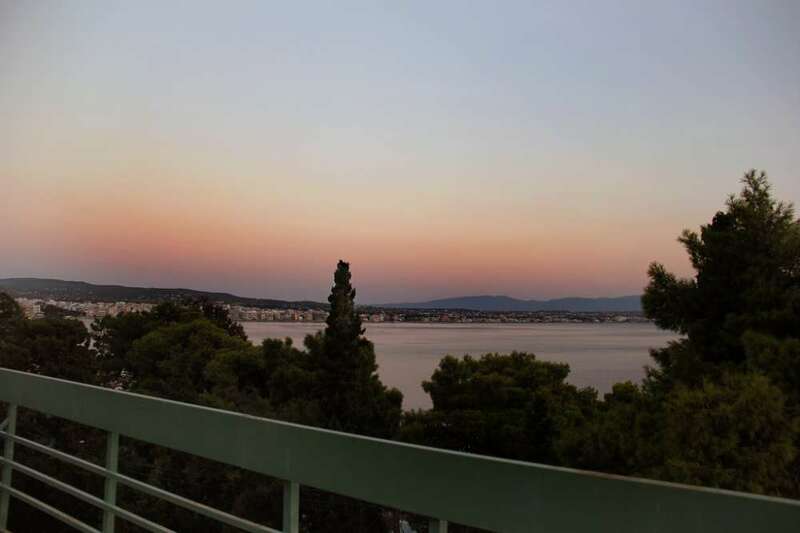 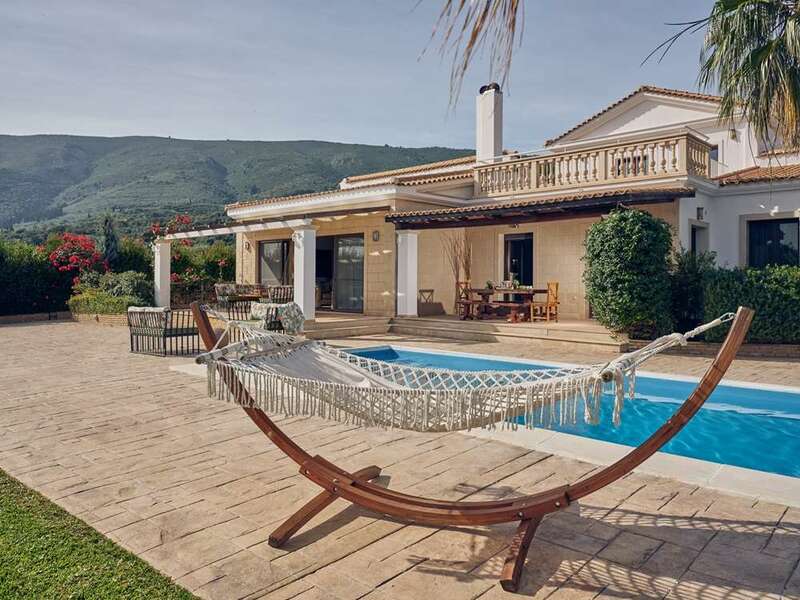 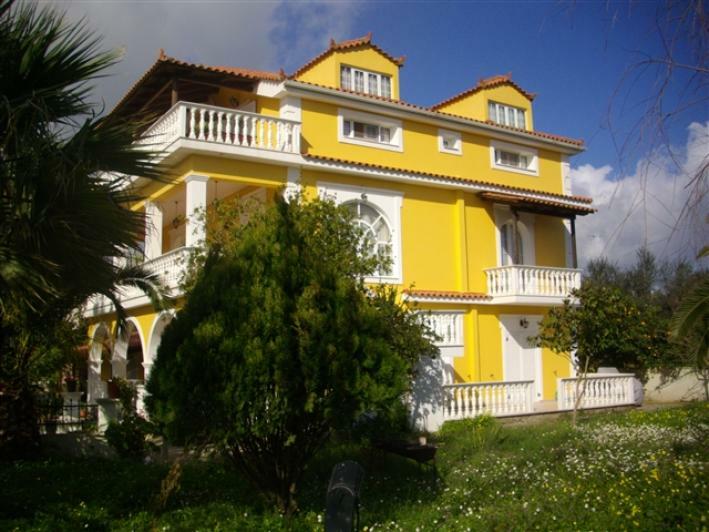 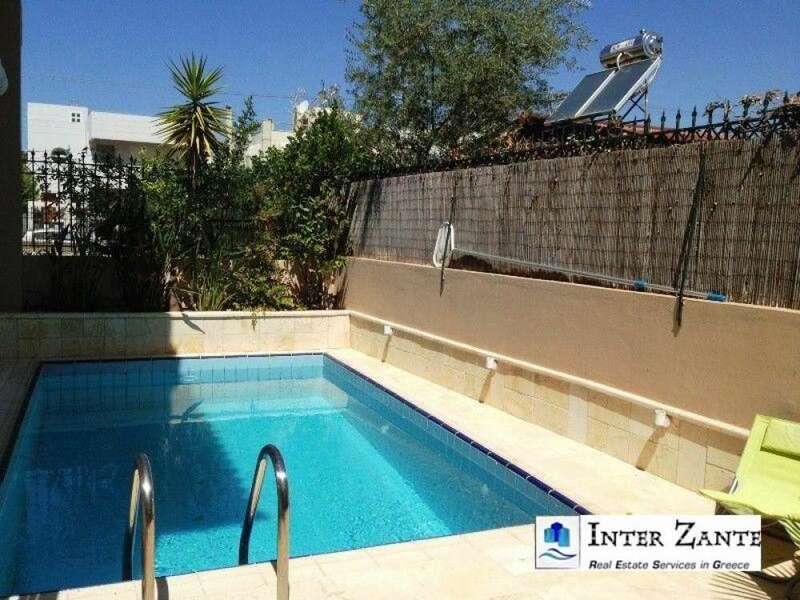 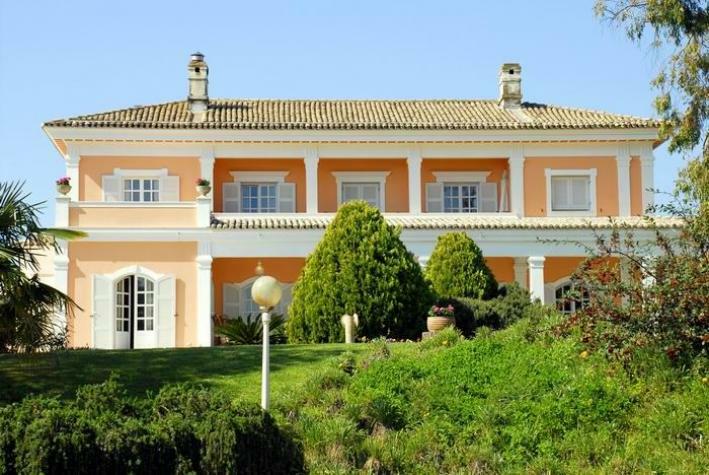 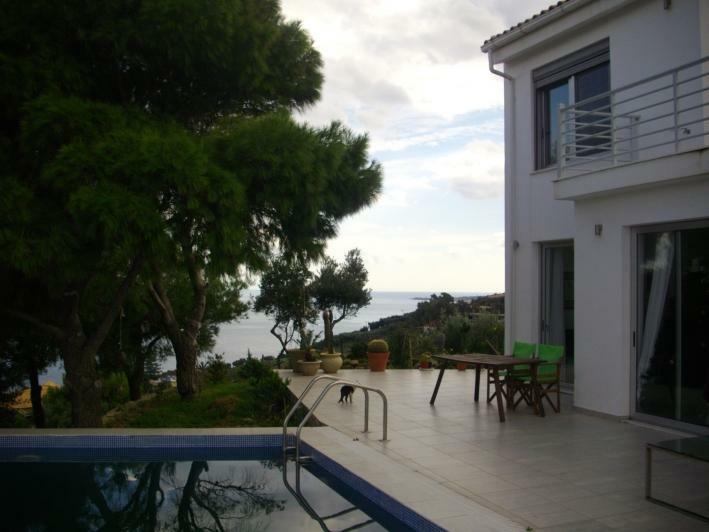 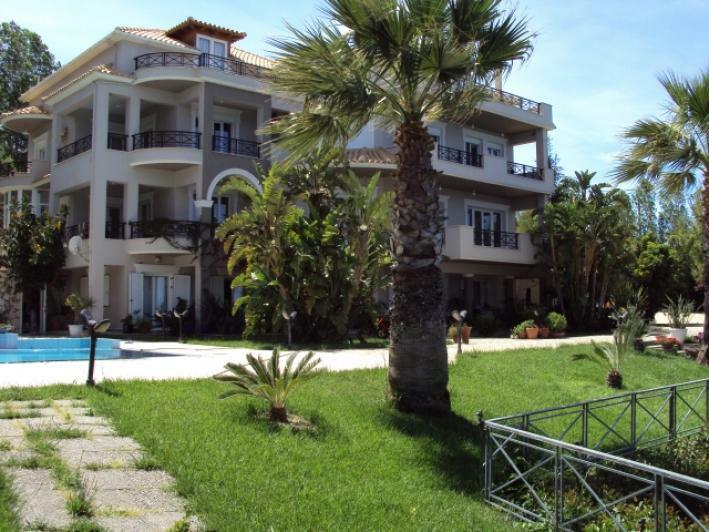 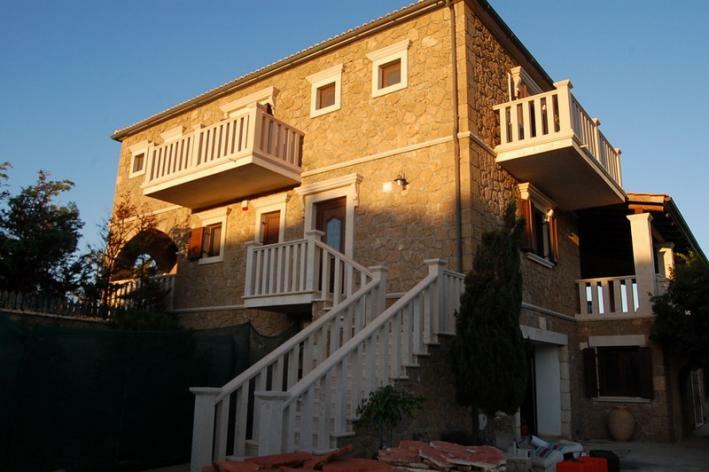 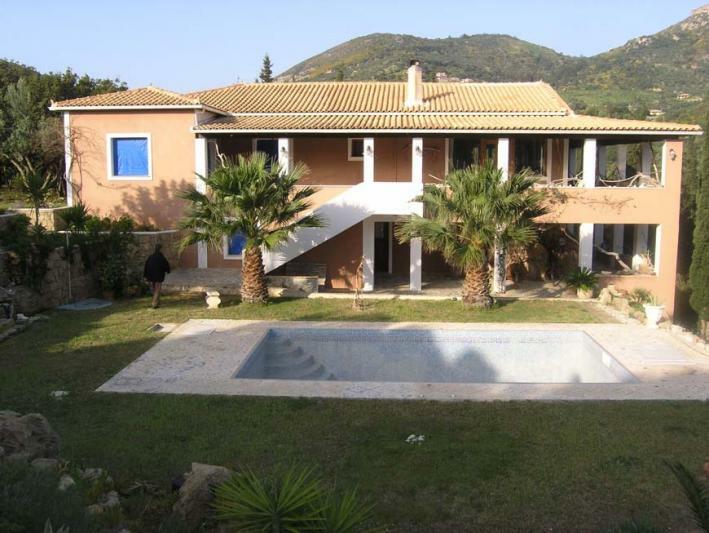 The property has central heating, large terraces, storage and parking. 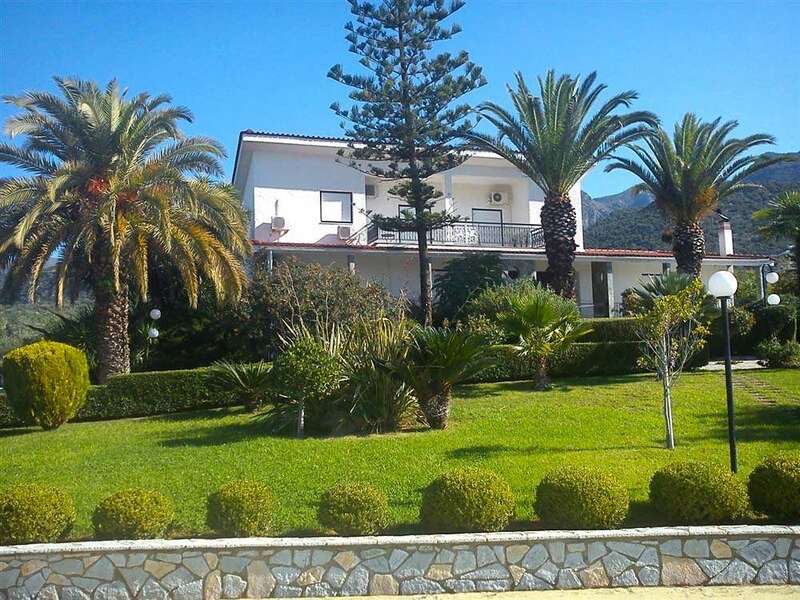 The plot of 4.000sqm is all fenced, has a beautiful garden with automatic irrigation, its own well and has beautiful views of the around area and mountains. 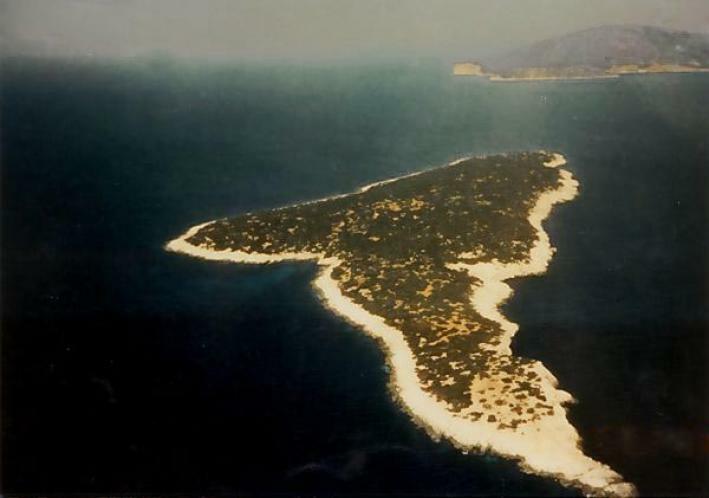 Year of construction: 1992. 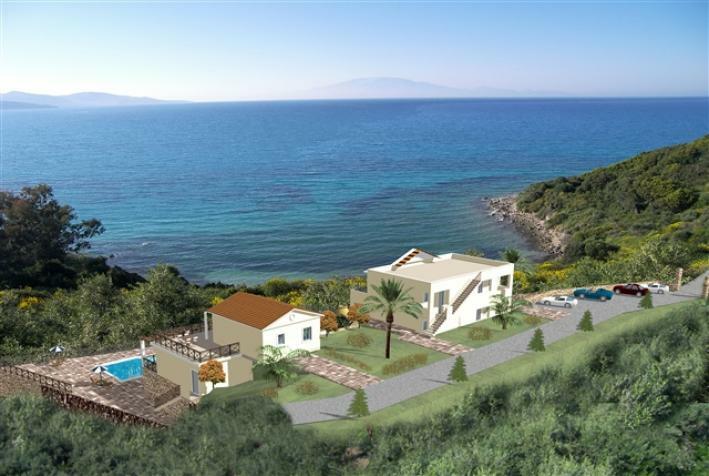 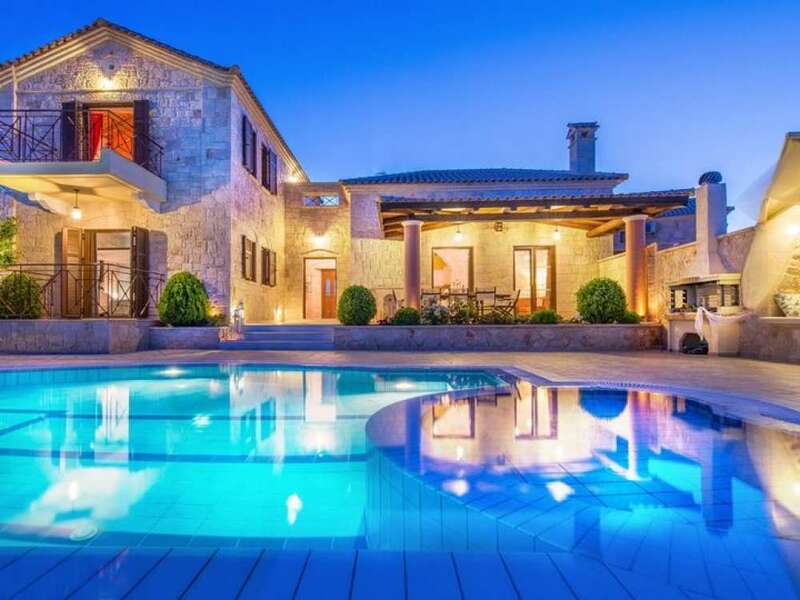 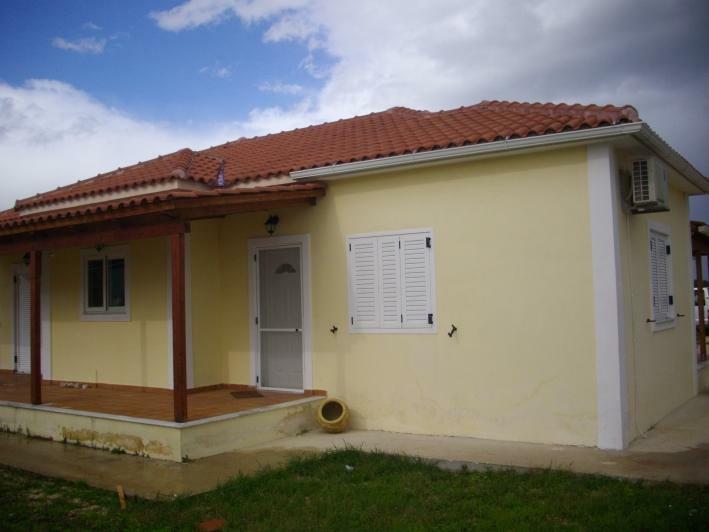 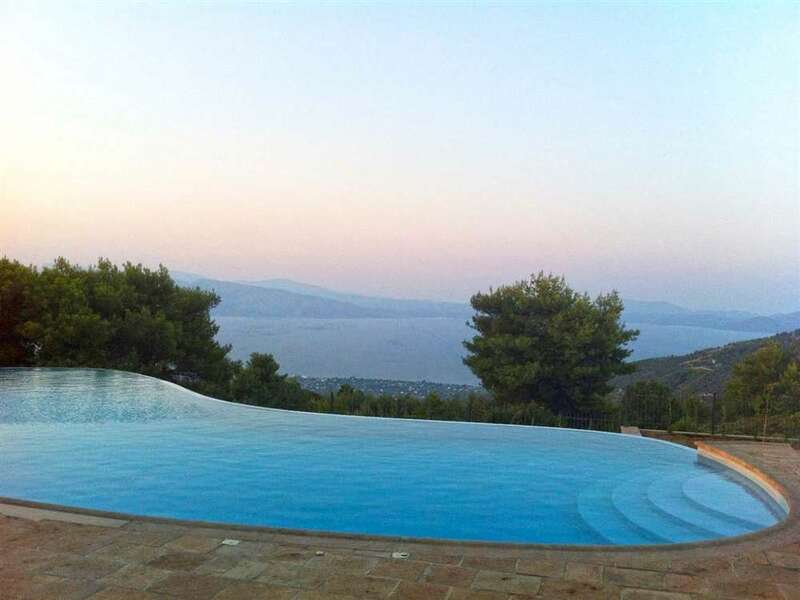 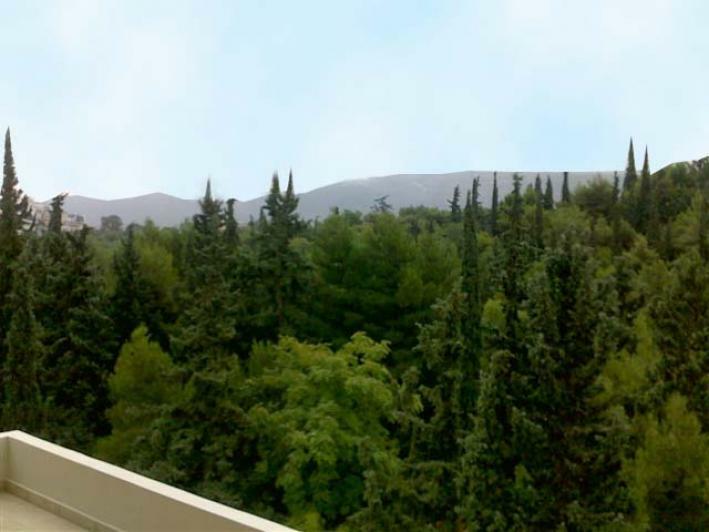 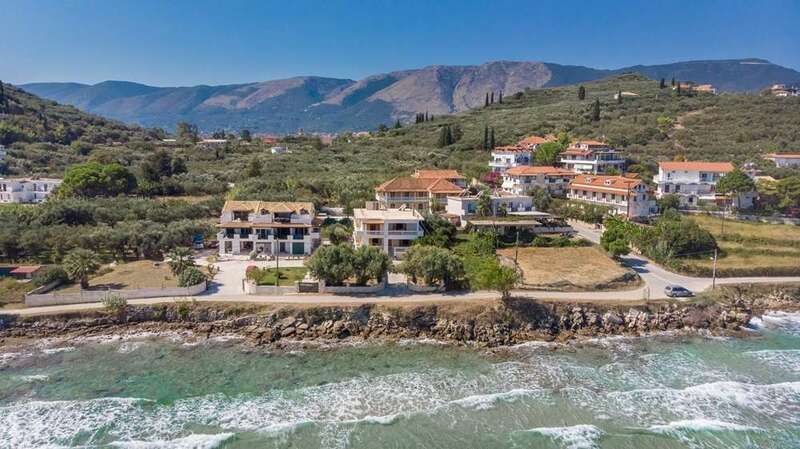 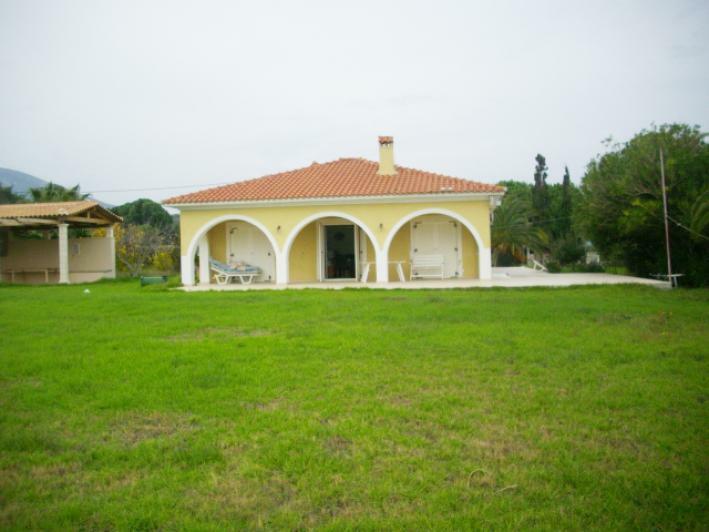 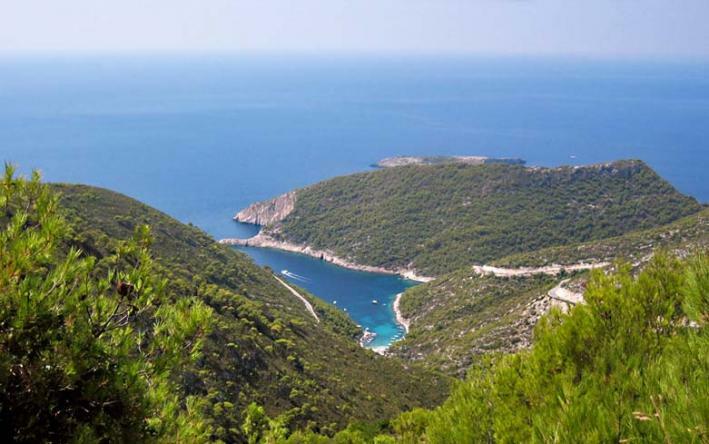 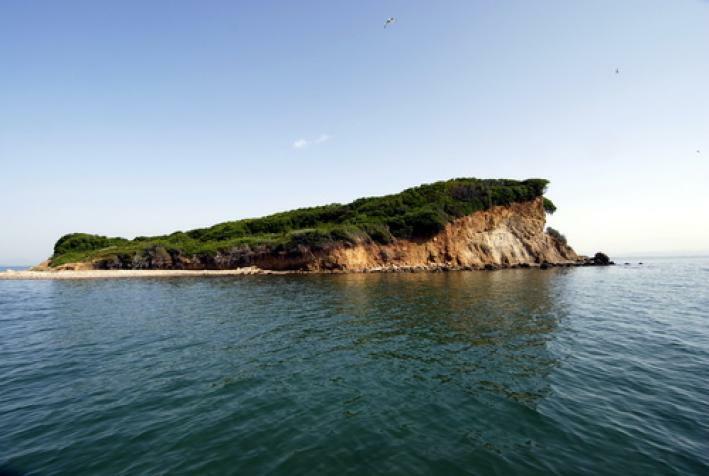 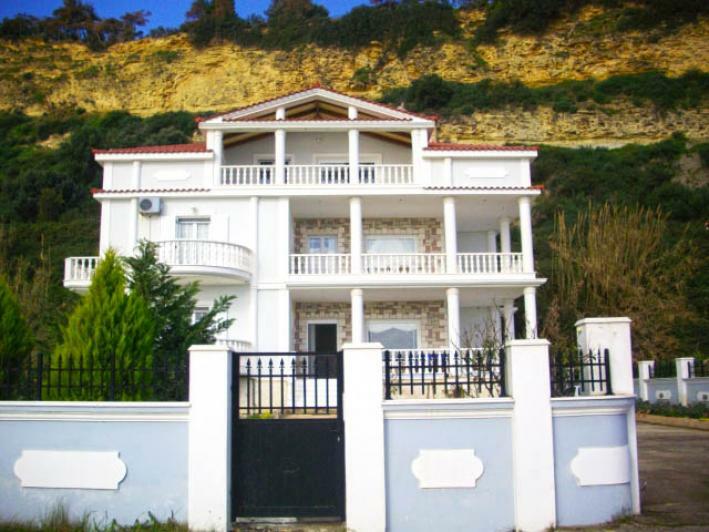 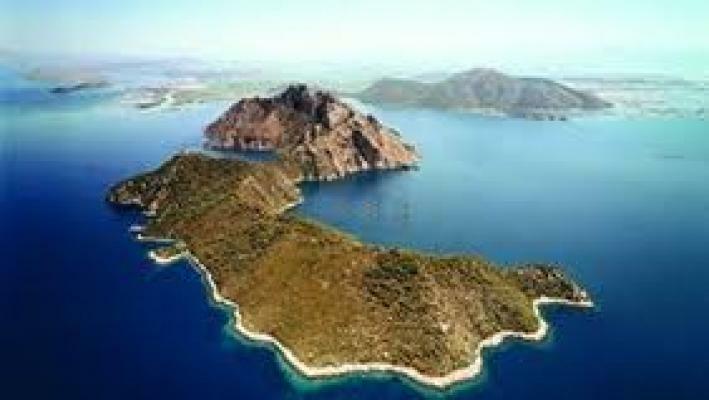 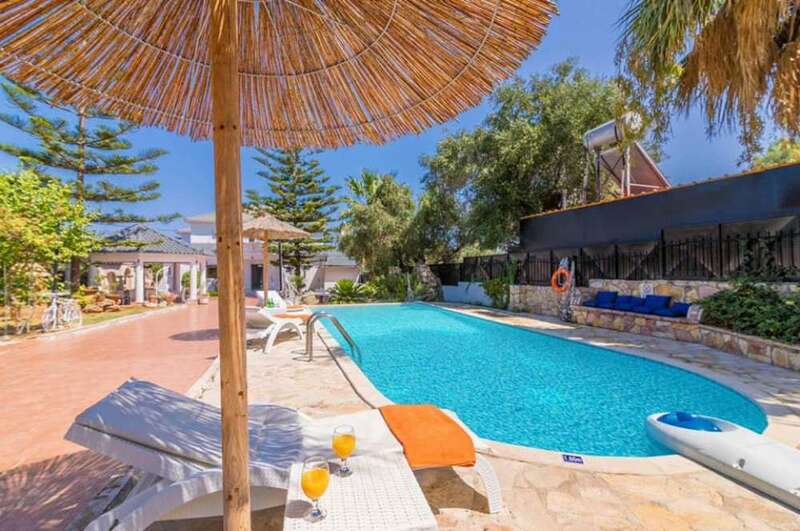 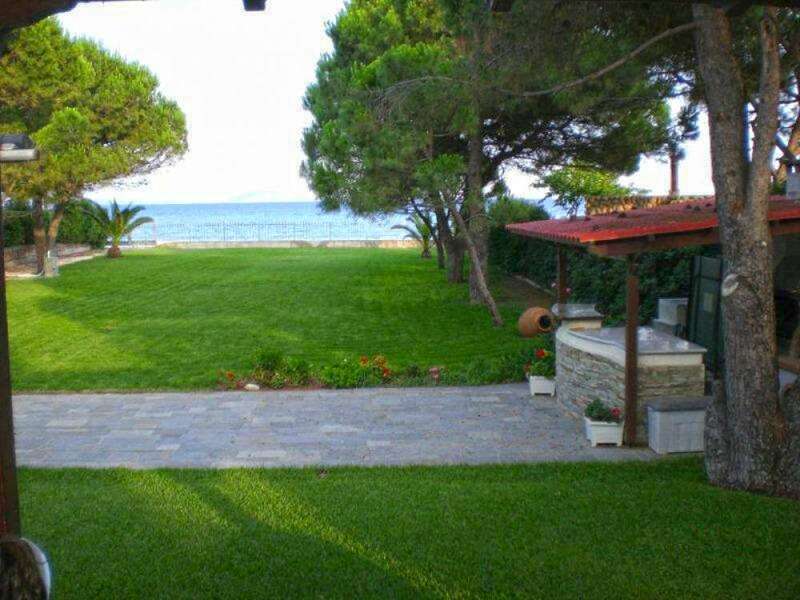 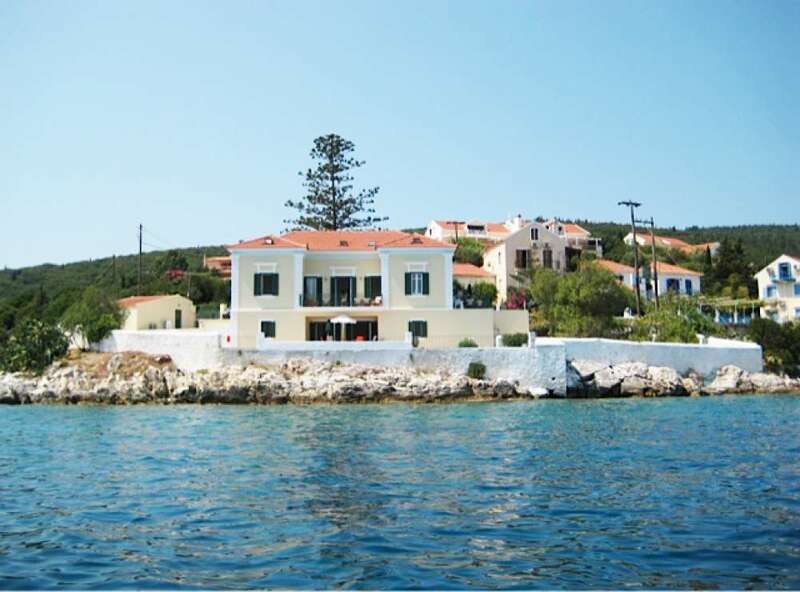 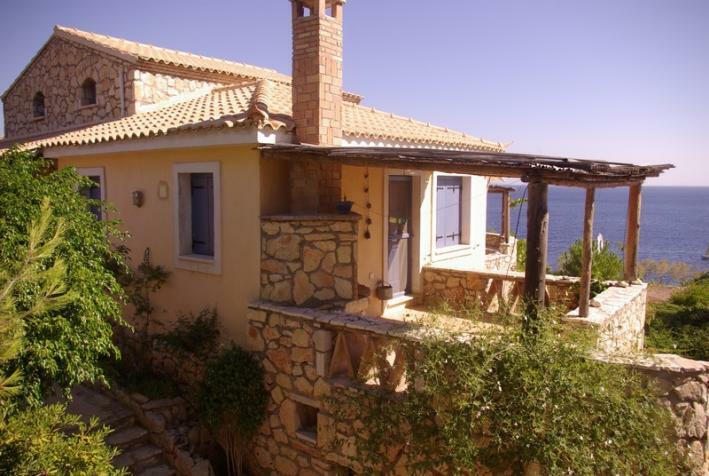 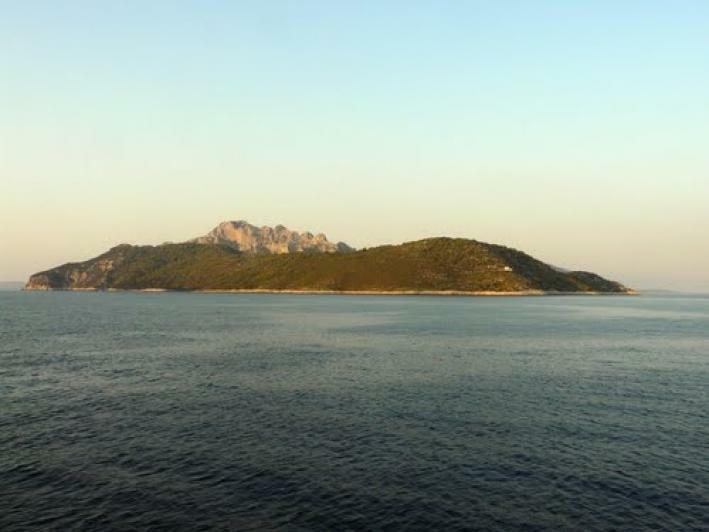 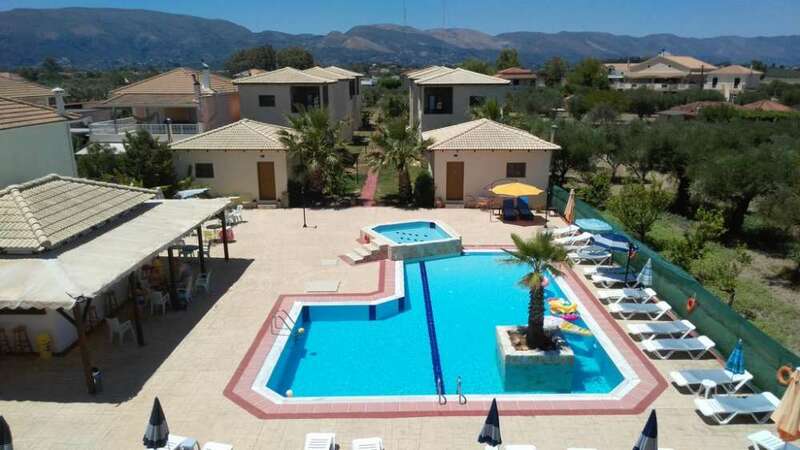 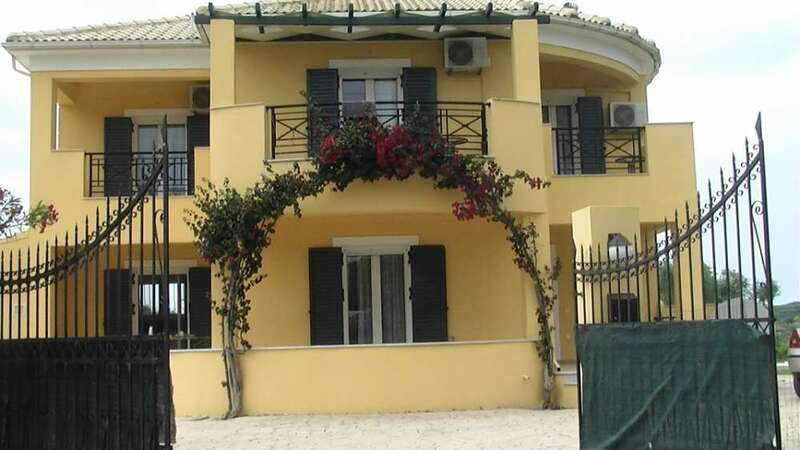 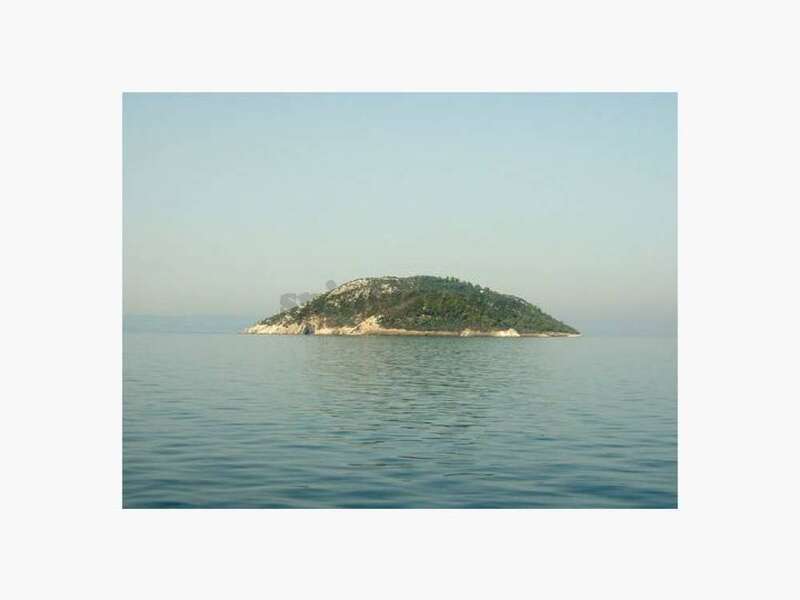 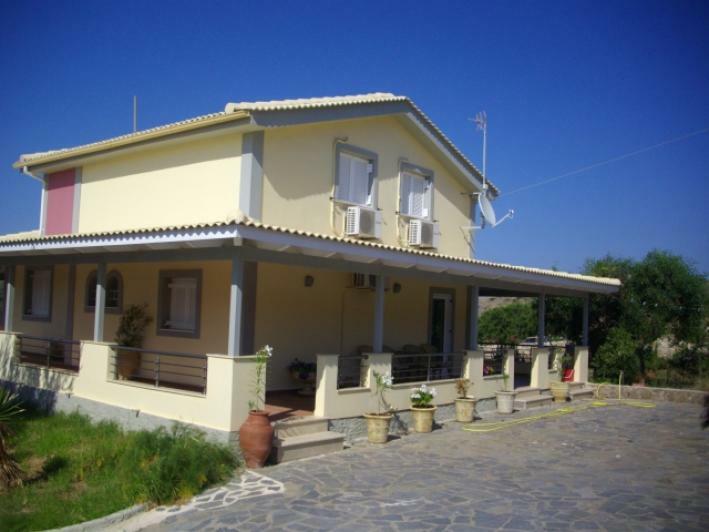 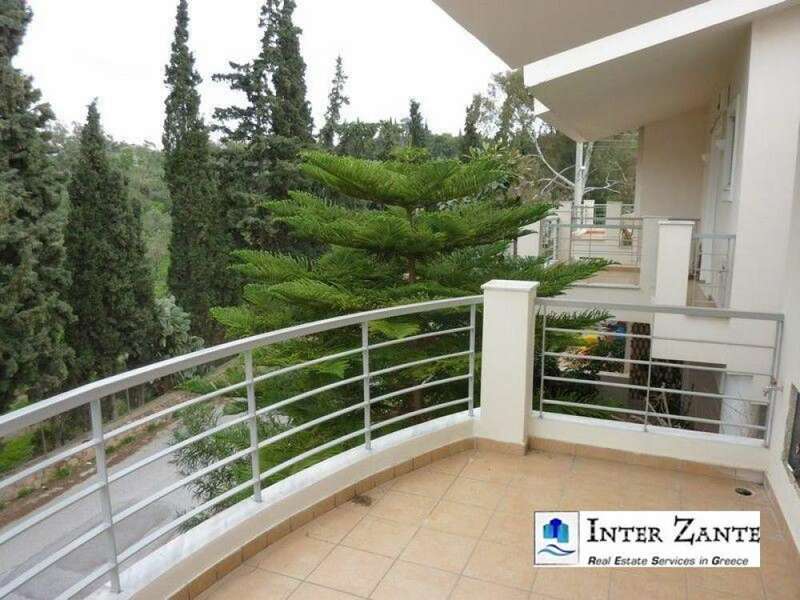 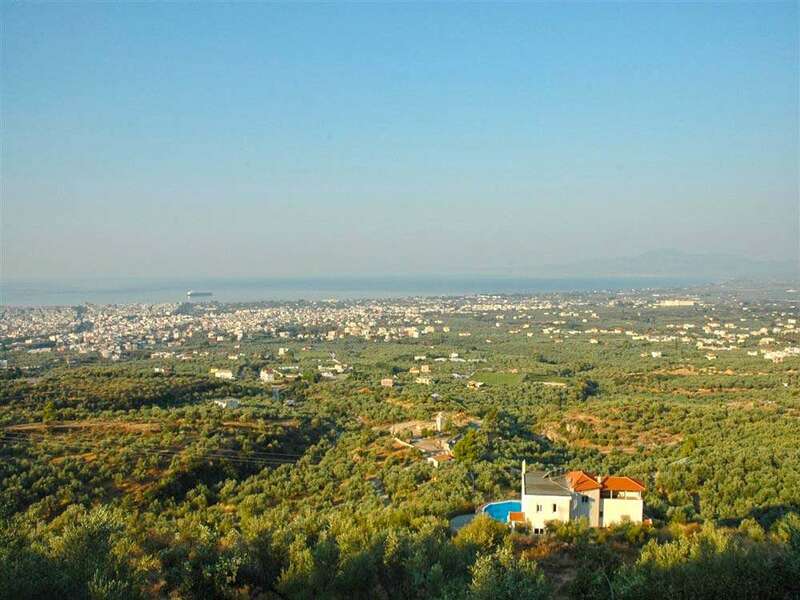 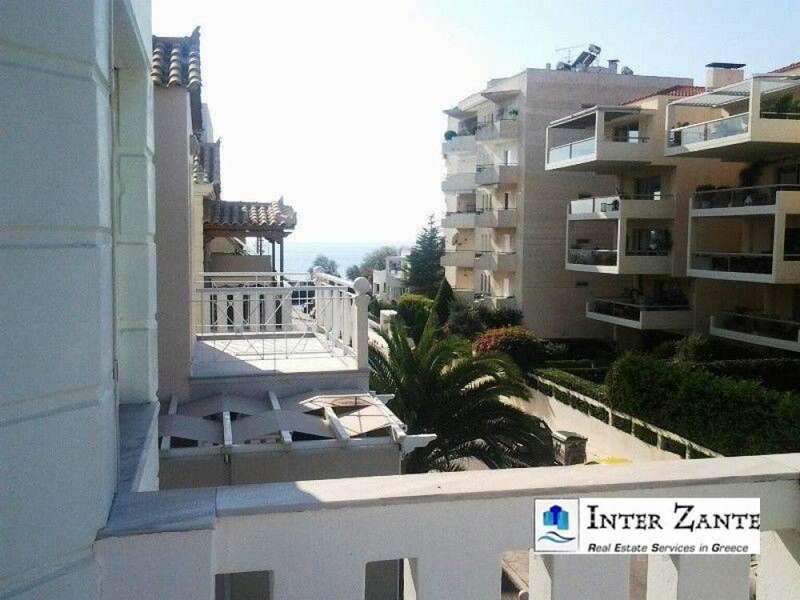 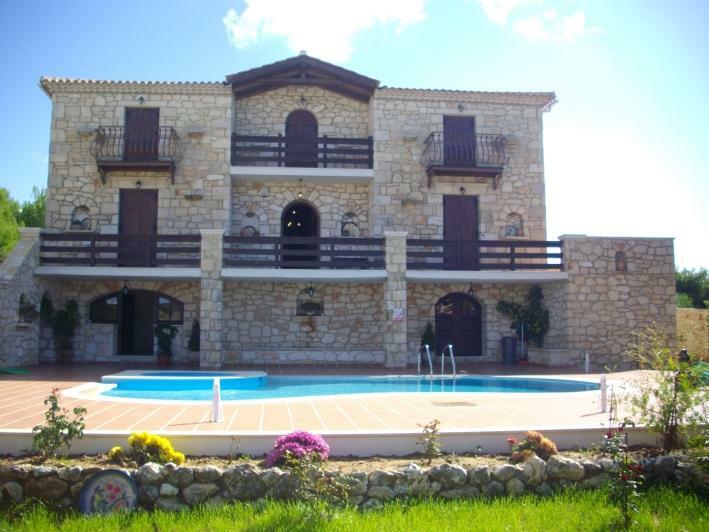 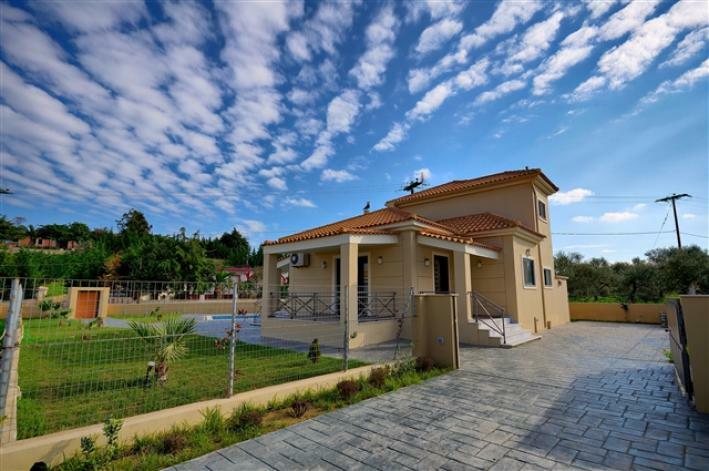 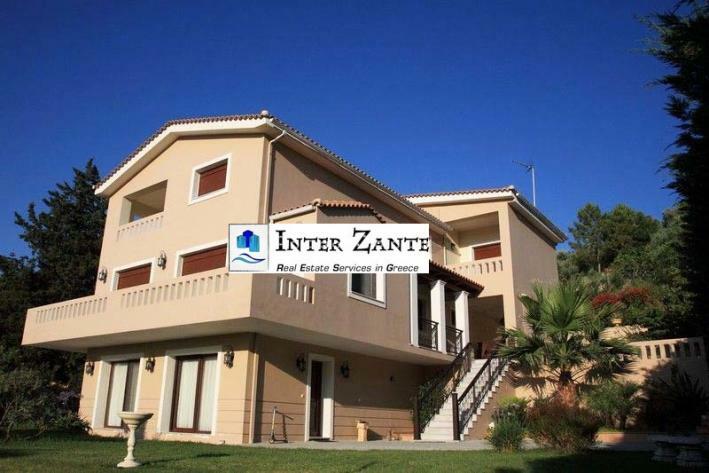 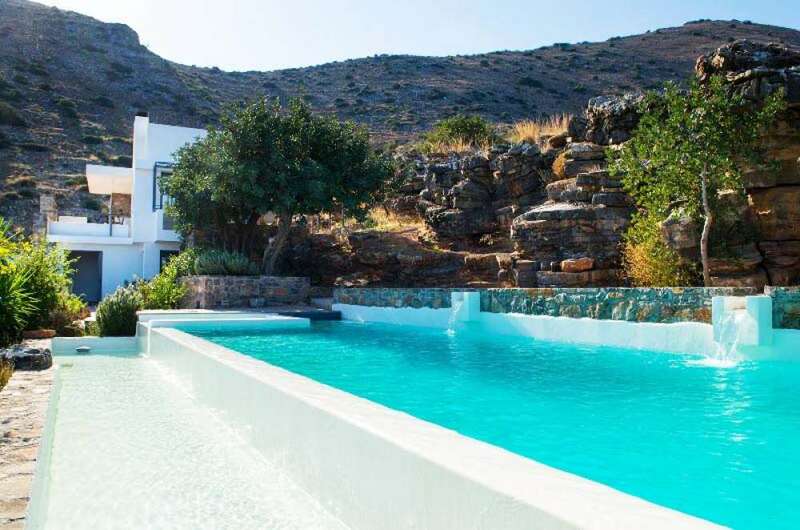 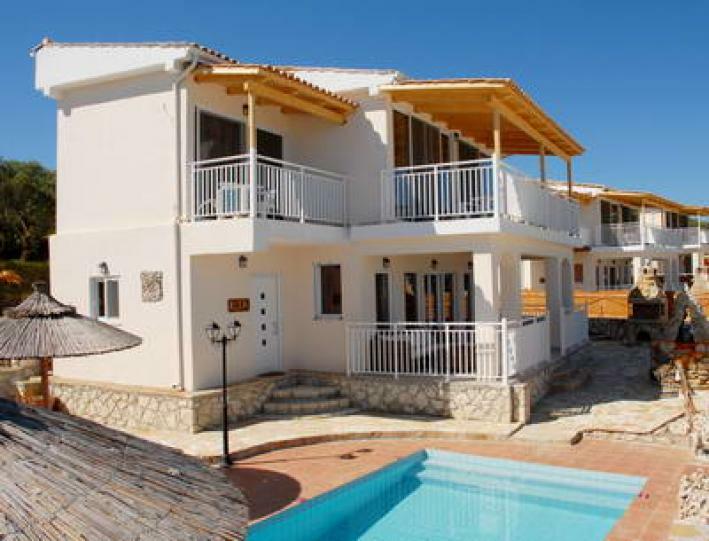 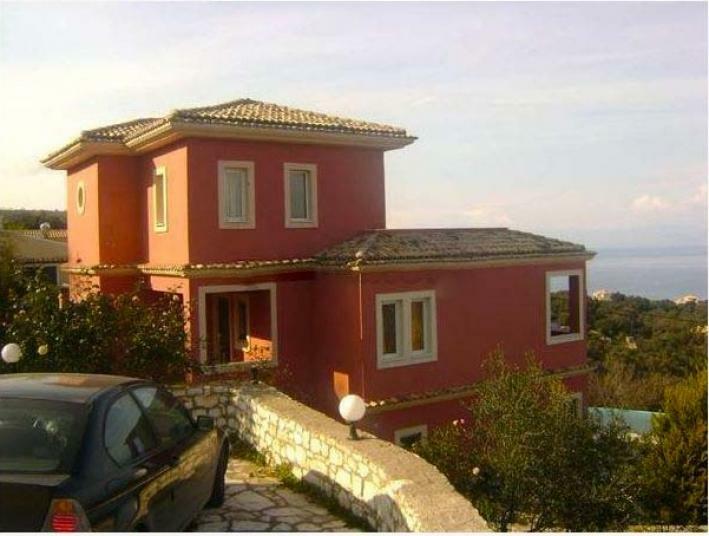 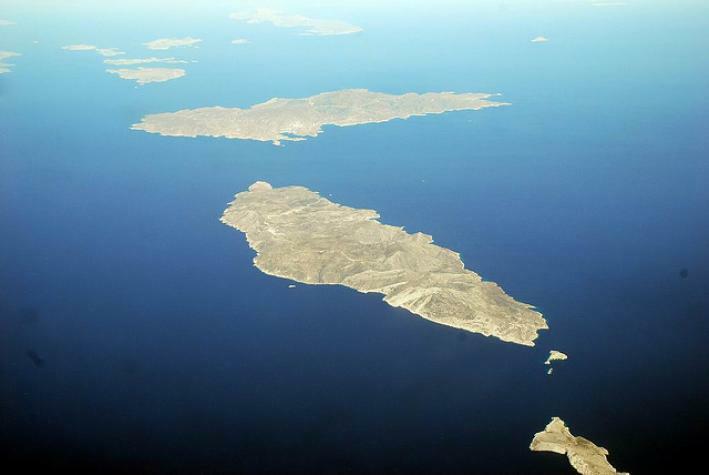 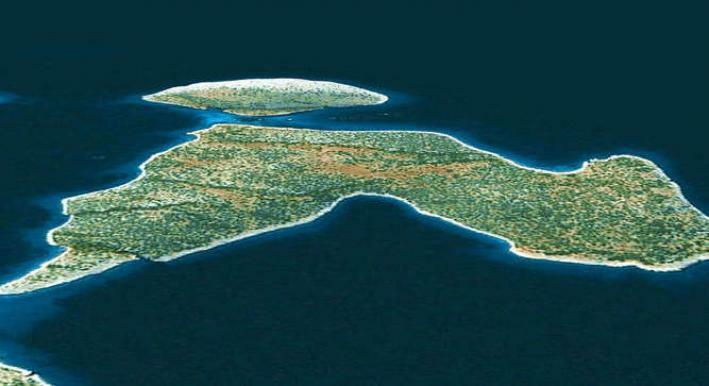 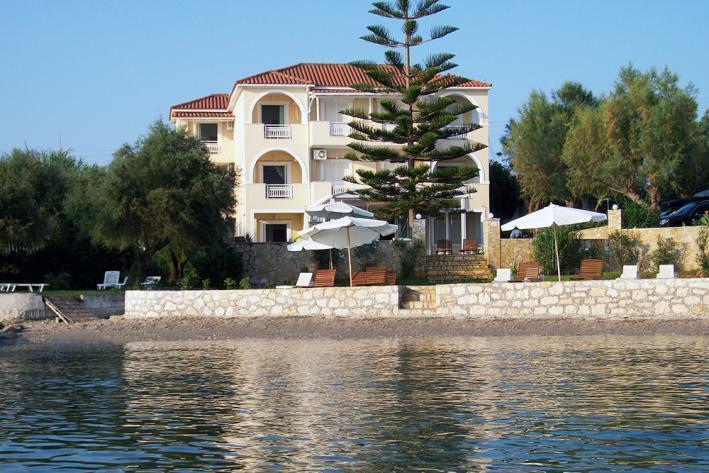 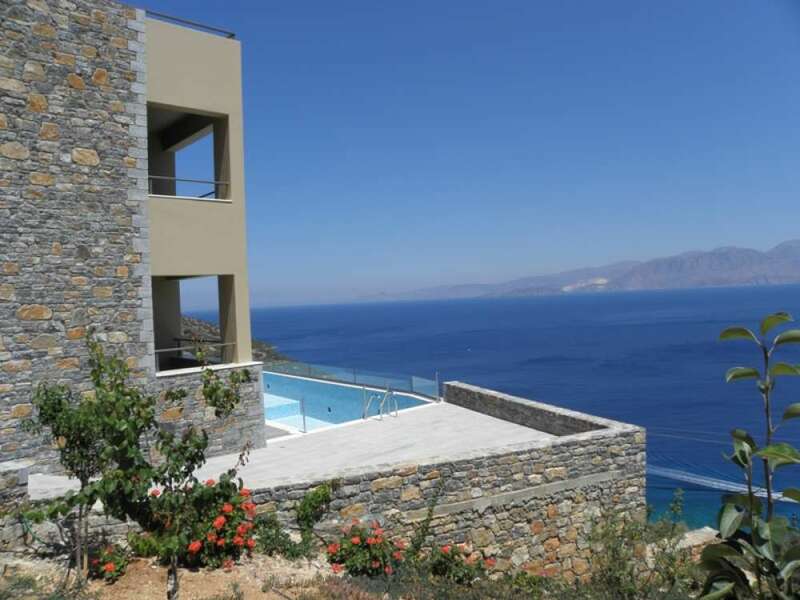 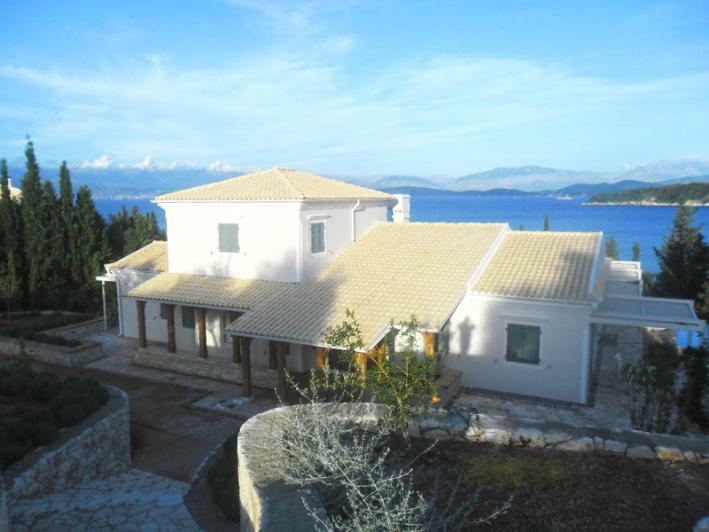 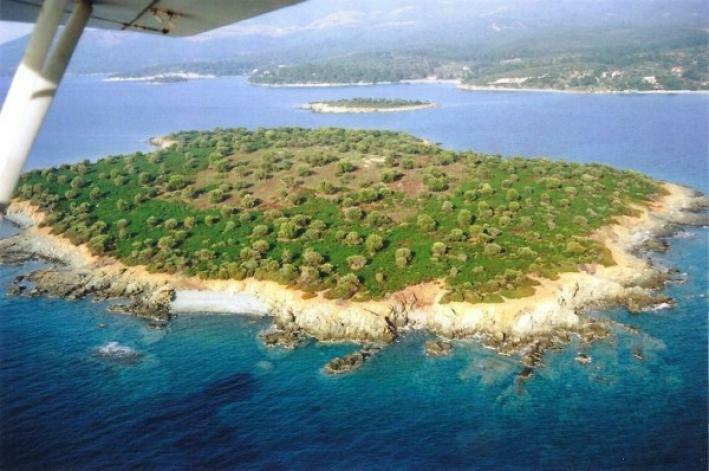 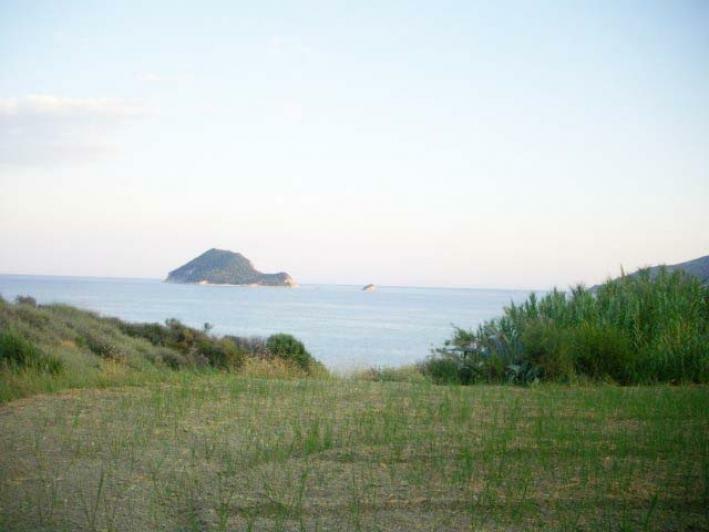 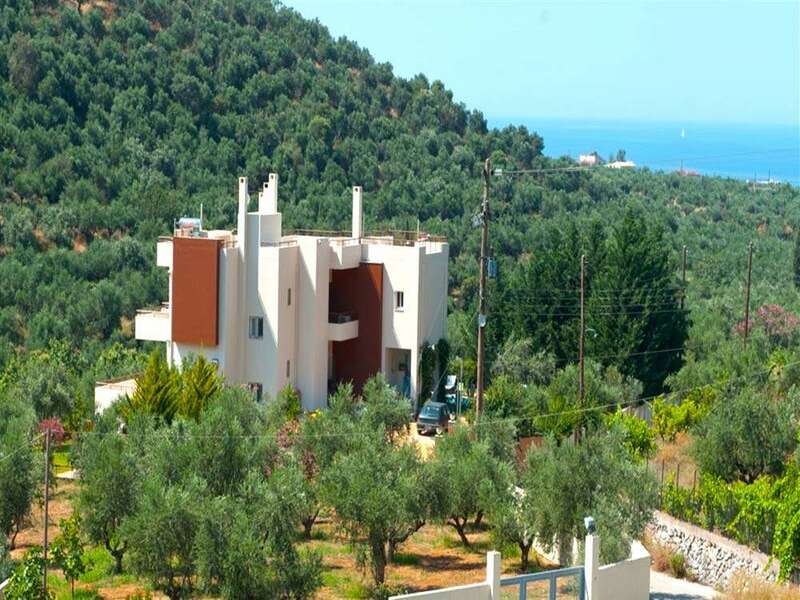 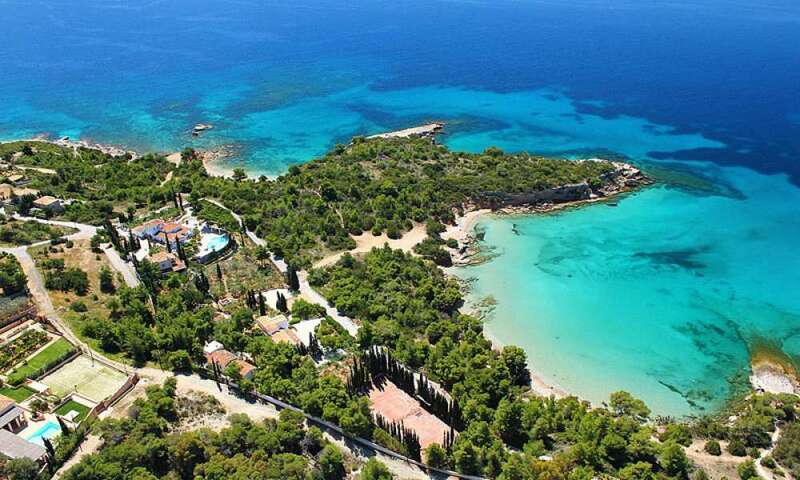 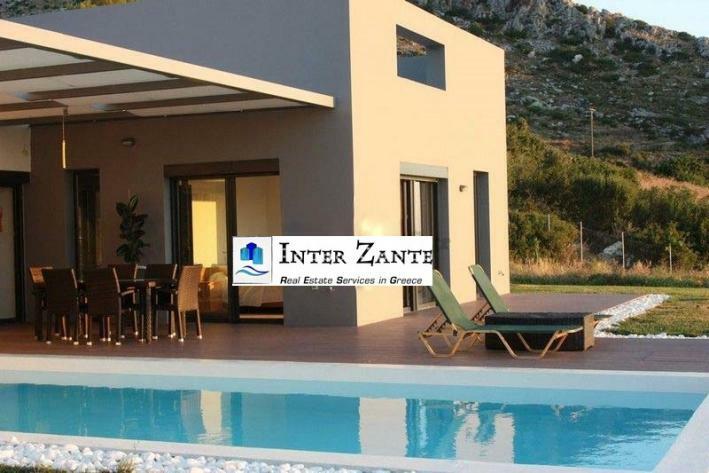 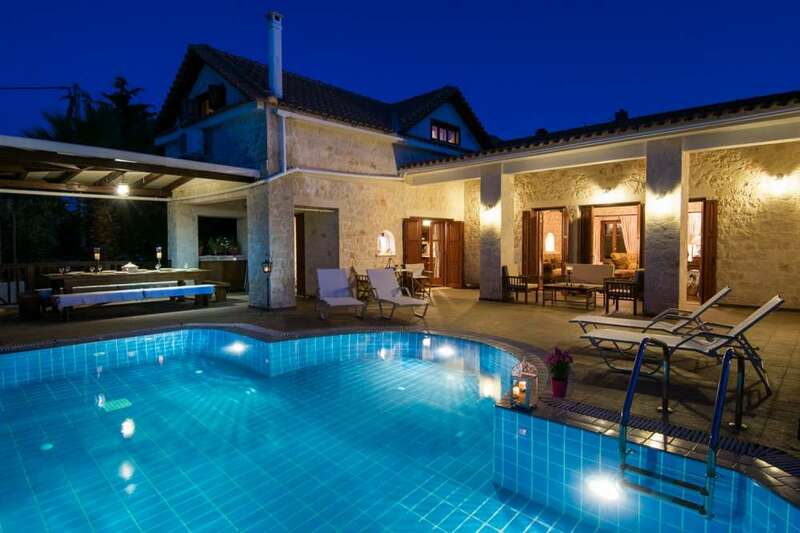 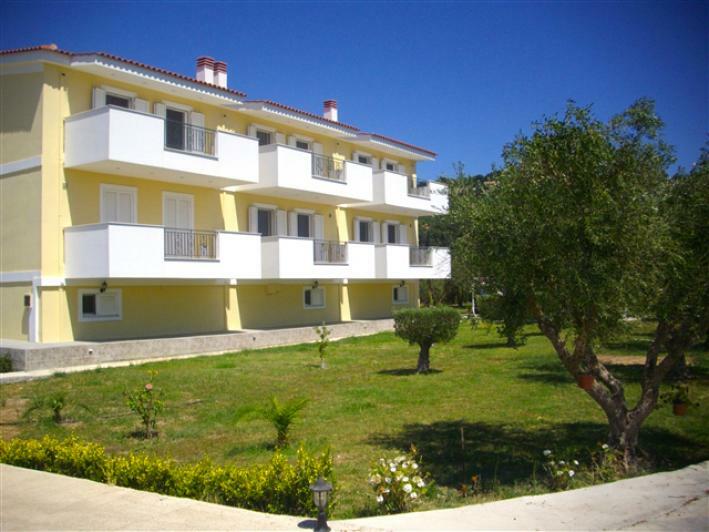 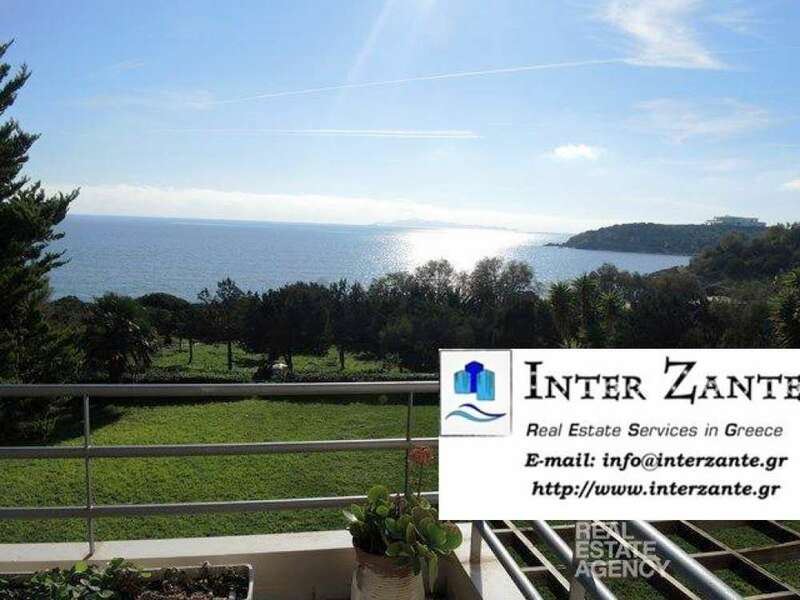 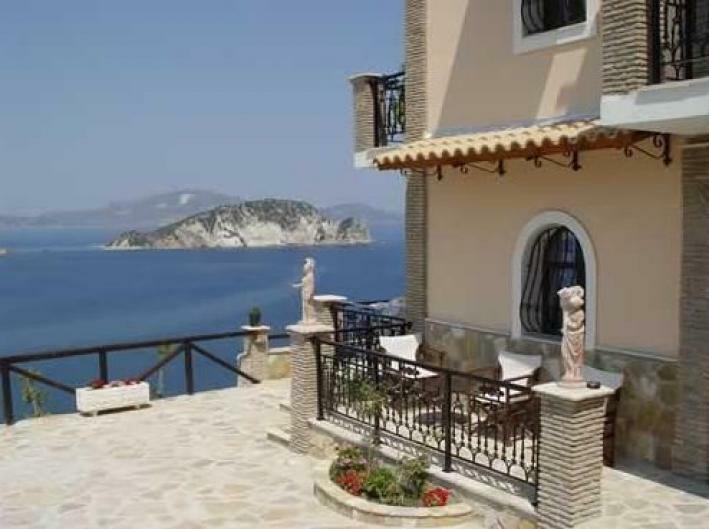 Distances: 6km from Zakynthos town, 2km from the sea and 4km from the airport.